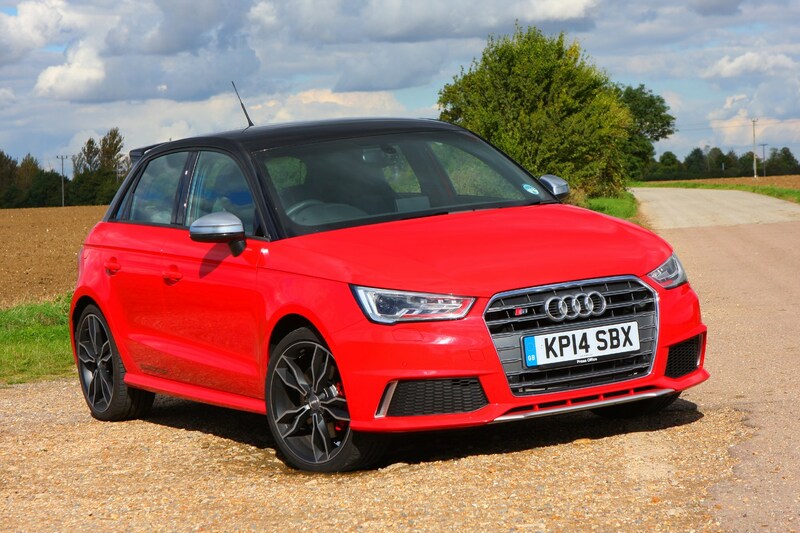 The S1 is a high-performance version of the Audi A1 hatchback, but it's been off sale since September 2017. 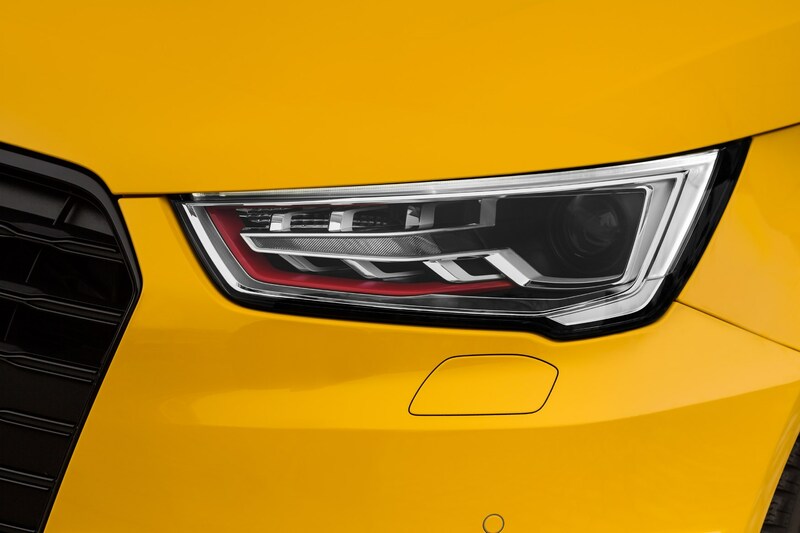 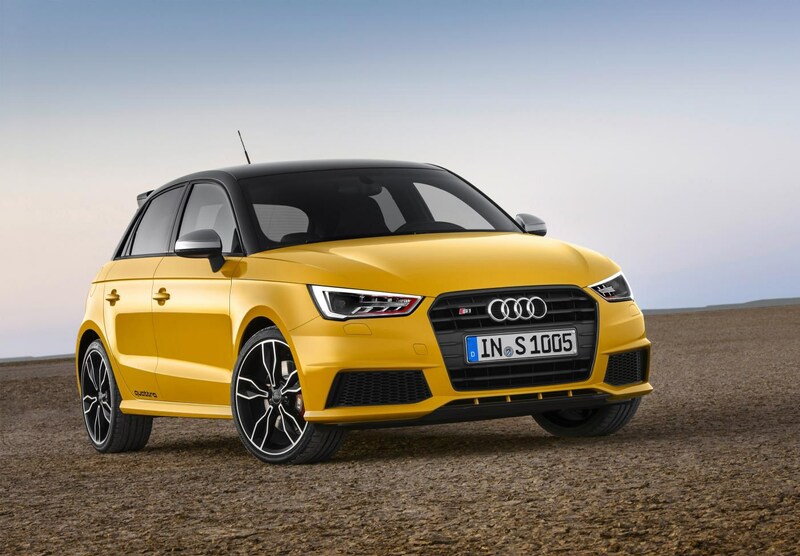 A new version is set to follow the launch of the new 2018 Audi A1 hatchback. 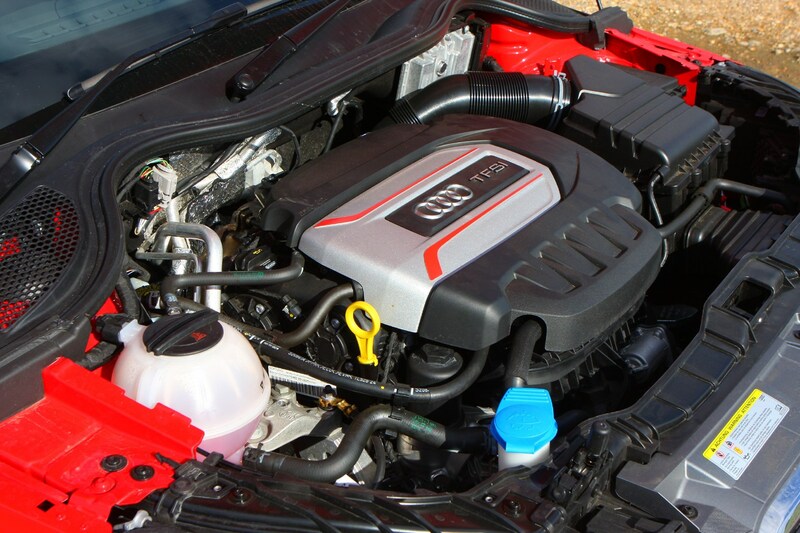 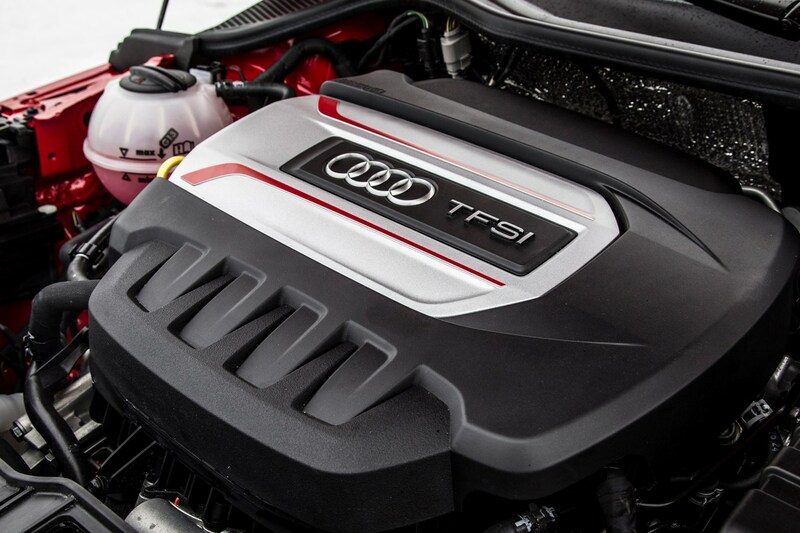 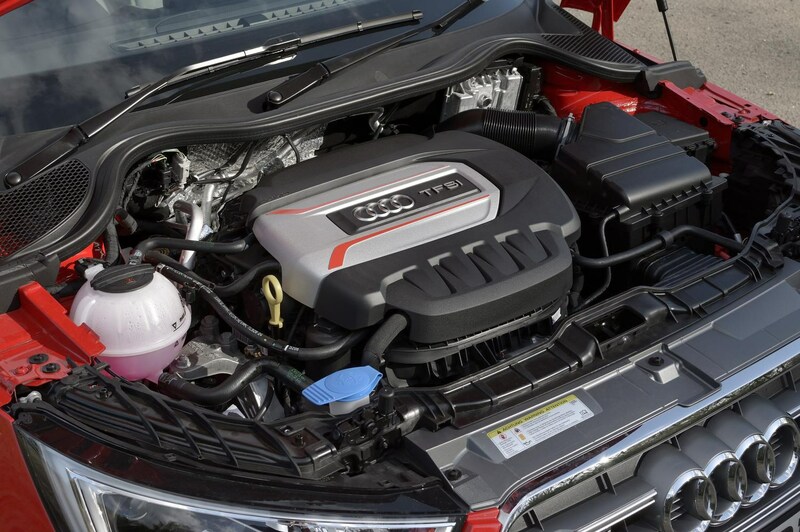 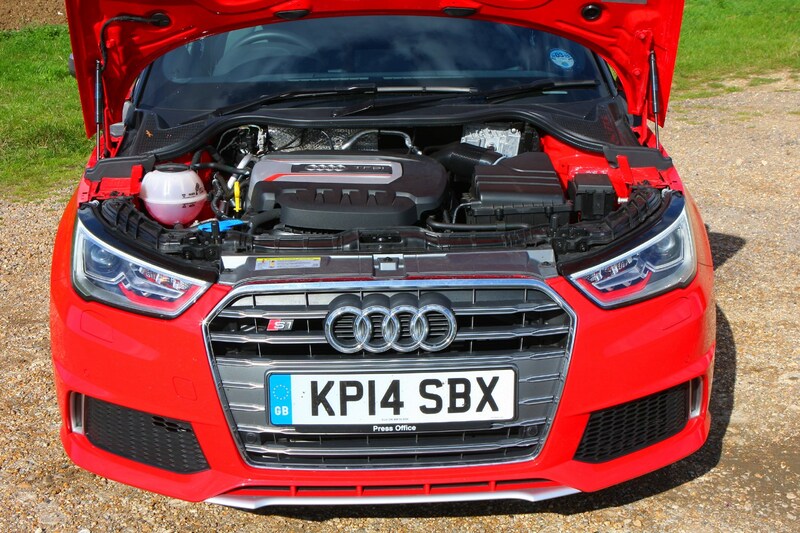 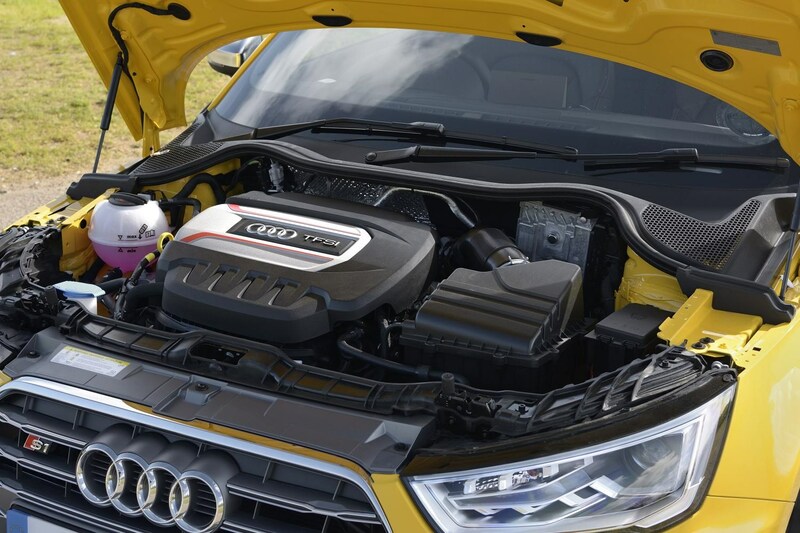 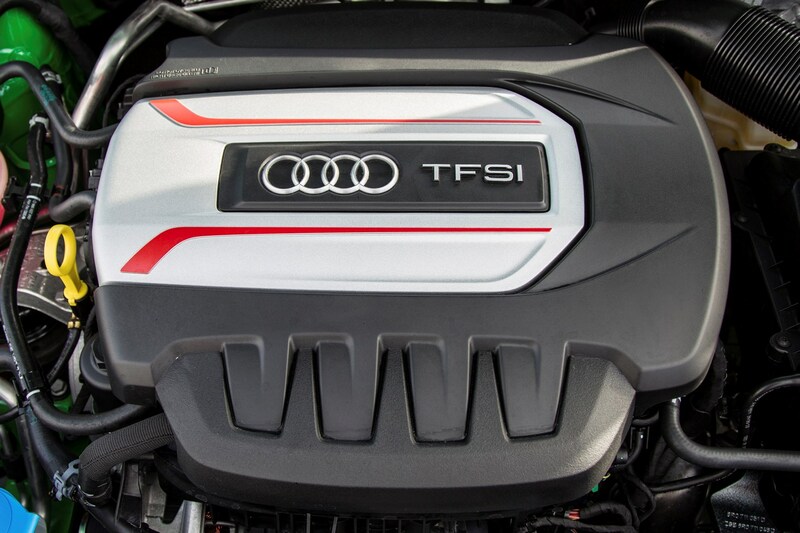 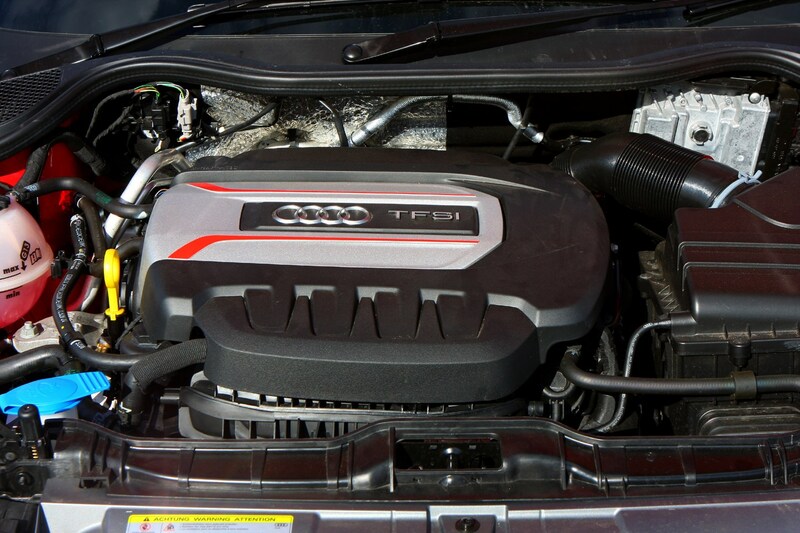 Squeezed under the bonnet is a 2.0-litre turbocharged petrol engine borrowed from the Audi S3, with 228bhp and 370Nm of torque. 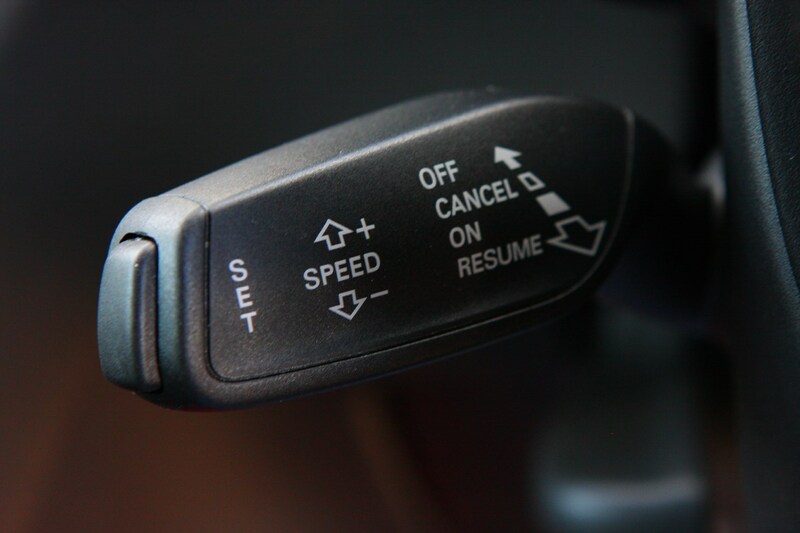 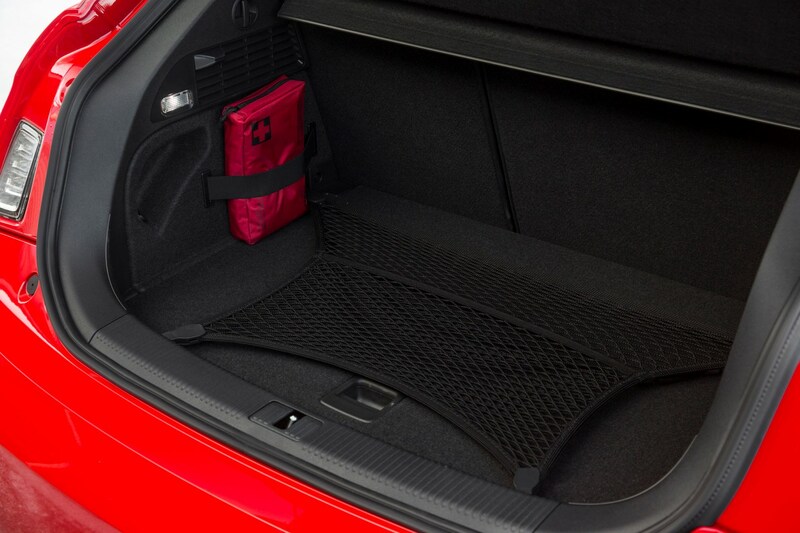 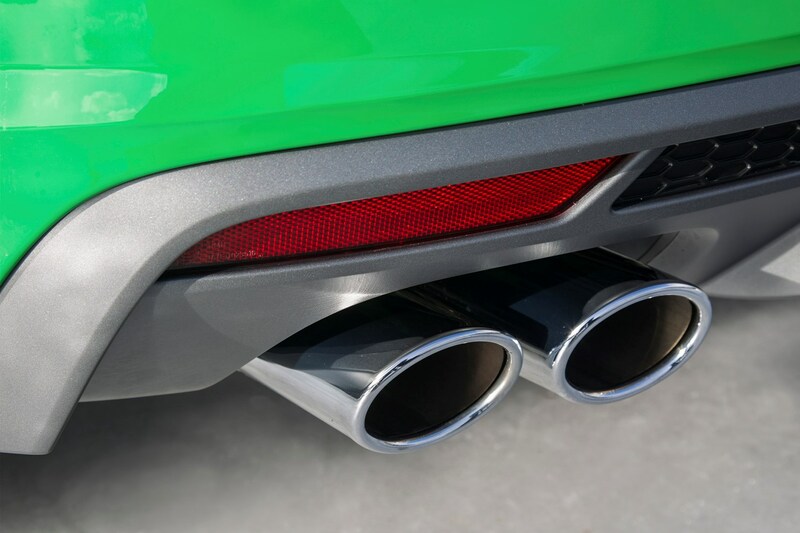 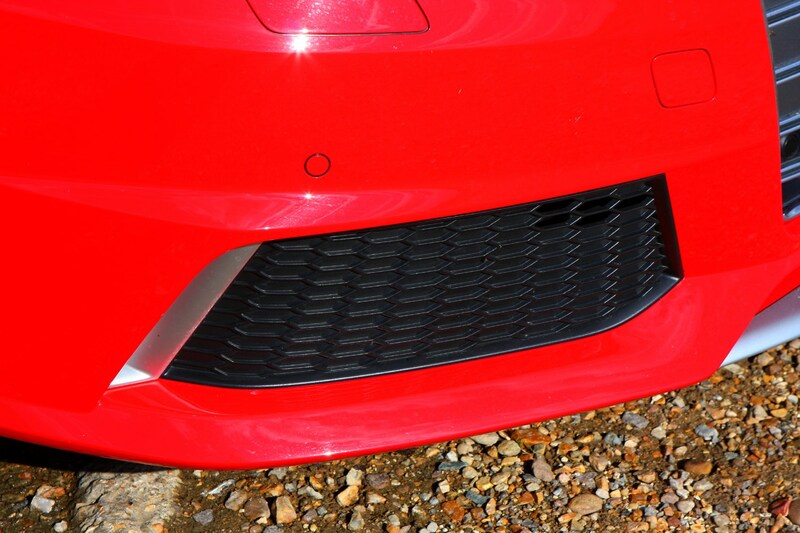 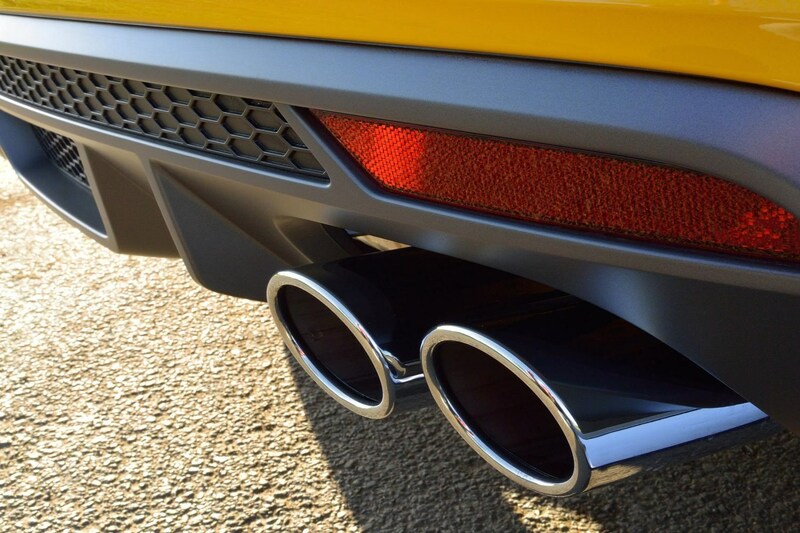 That’s enough grunt to take the little car from 0-62mph in 5.8 seconds and on to an electronically limited top speed of 155mph. 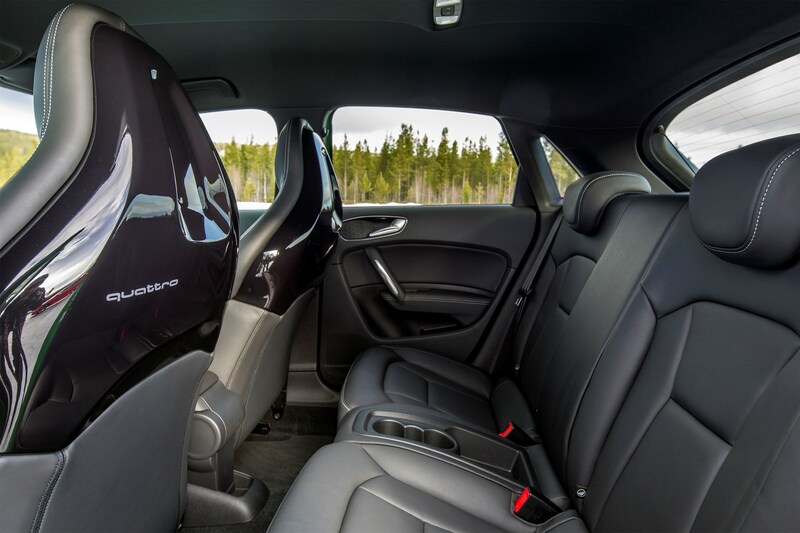 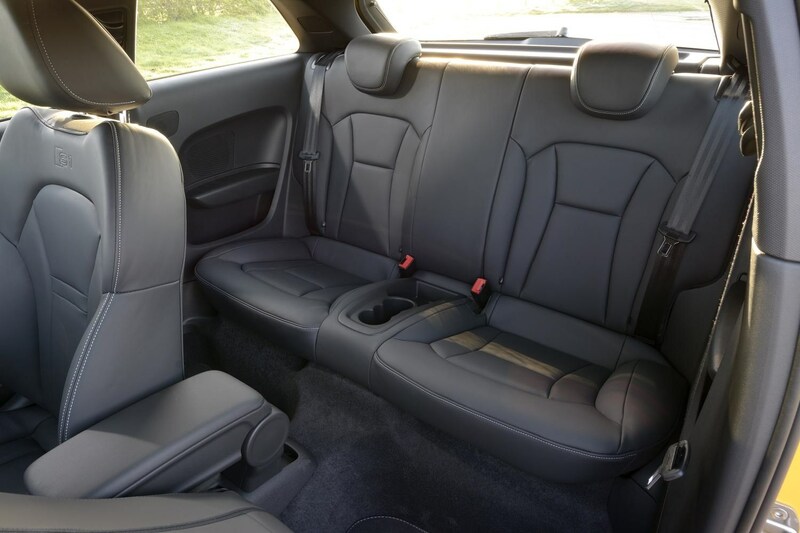 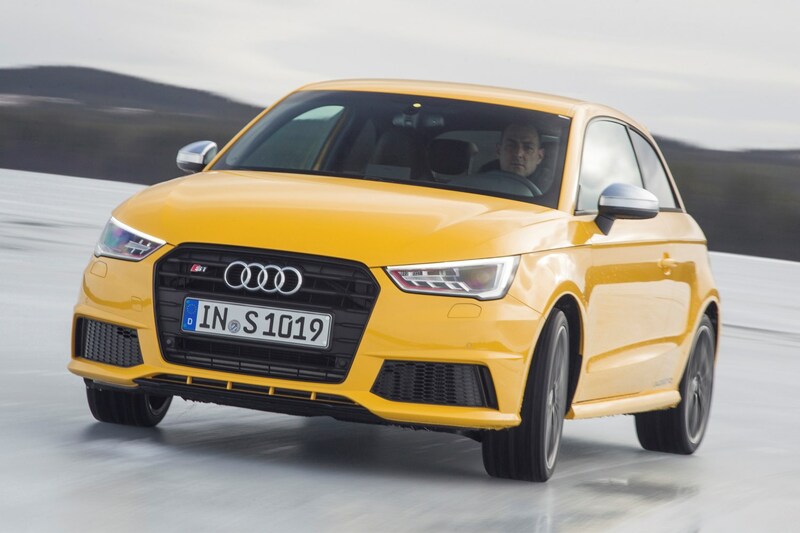 It’s available in both three-door hatchback and five-door Sportback form and is expected to make up around five percent of overall A1 sales. 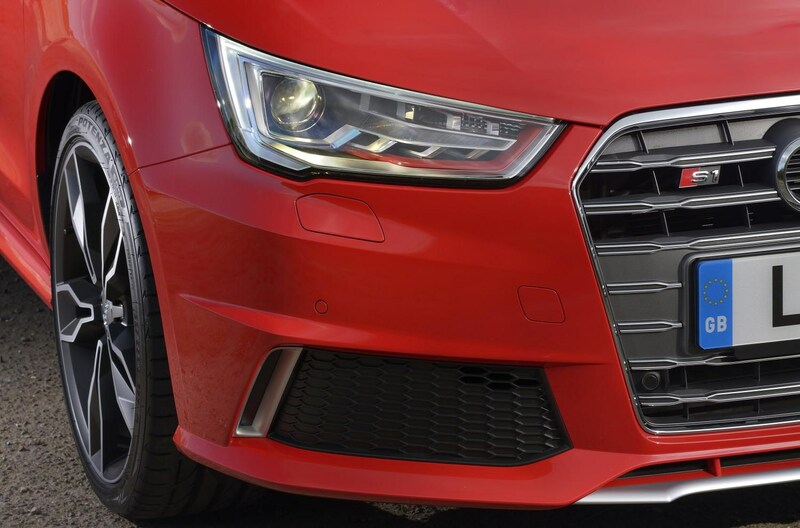 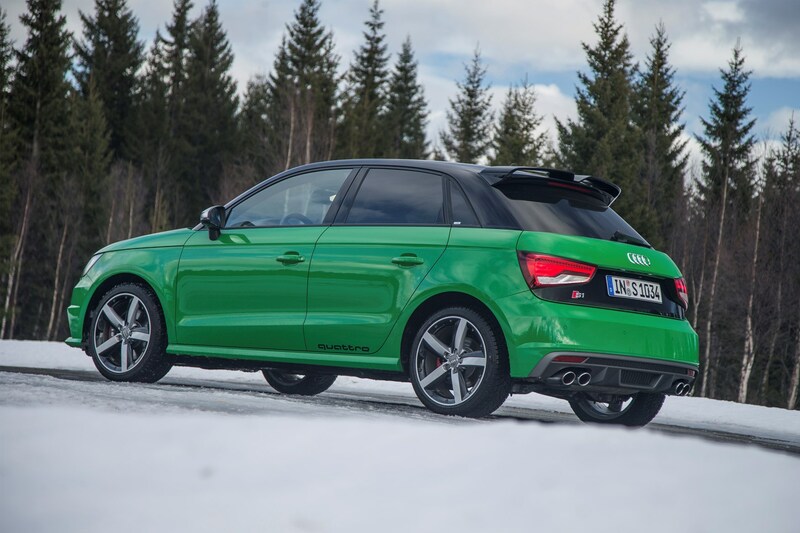 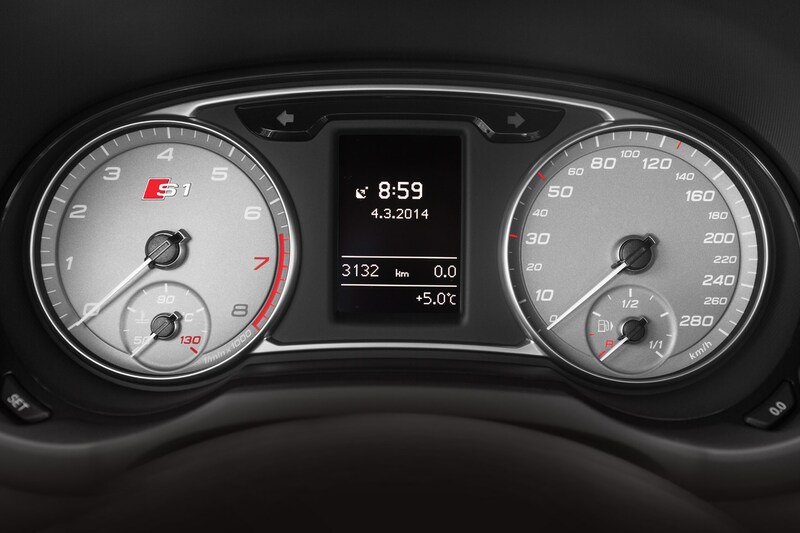 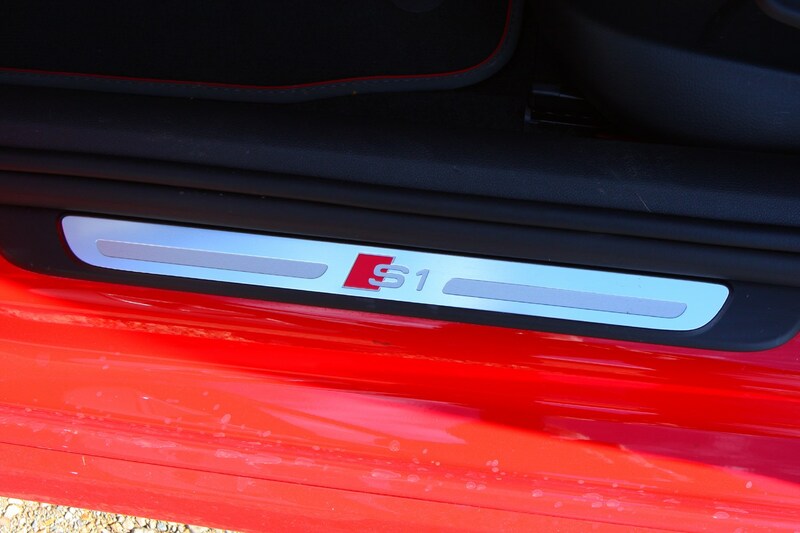 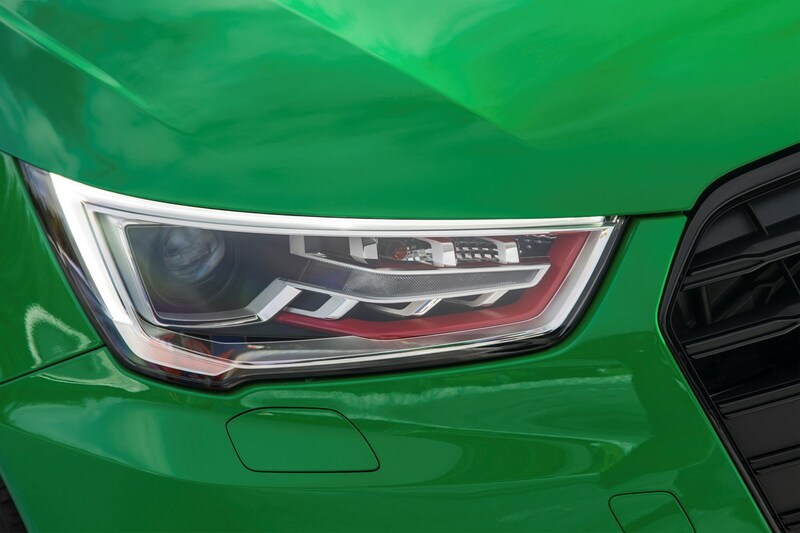 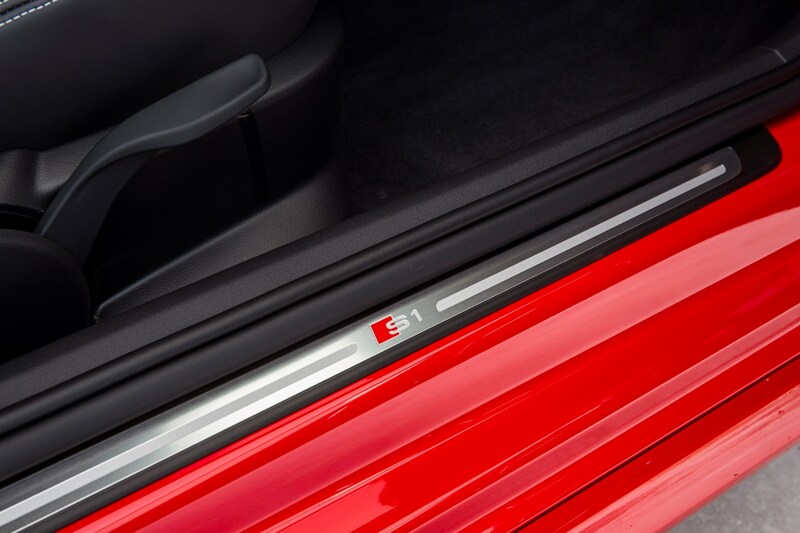 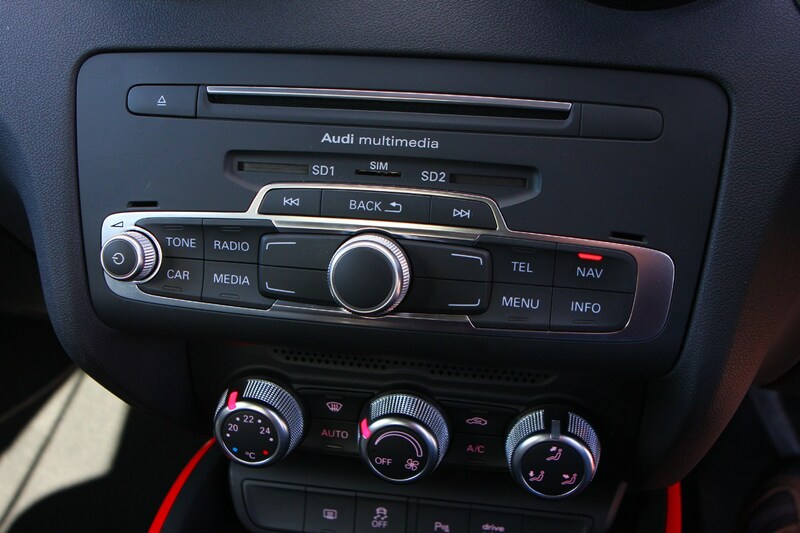 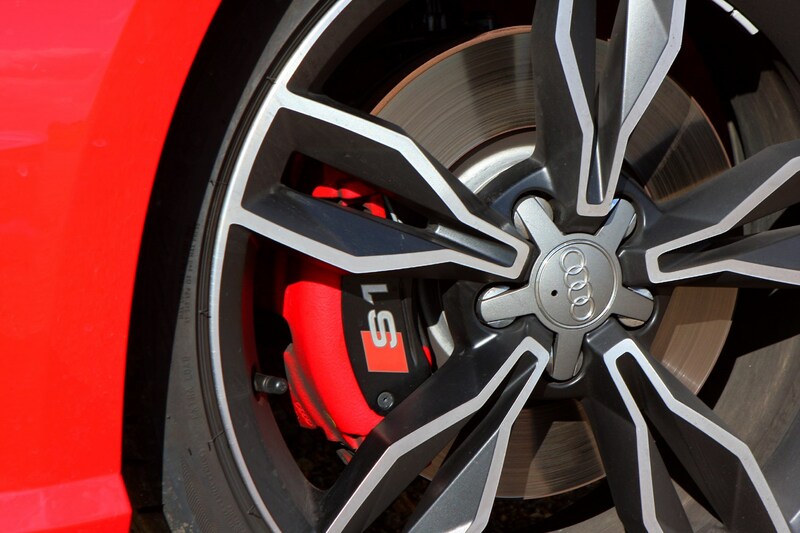 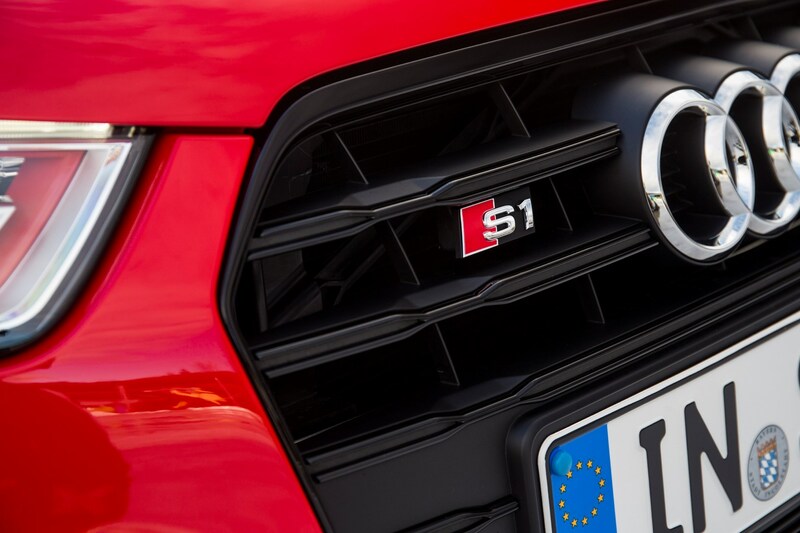 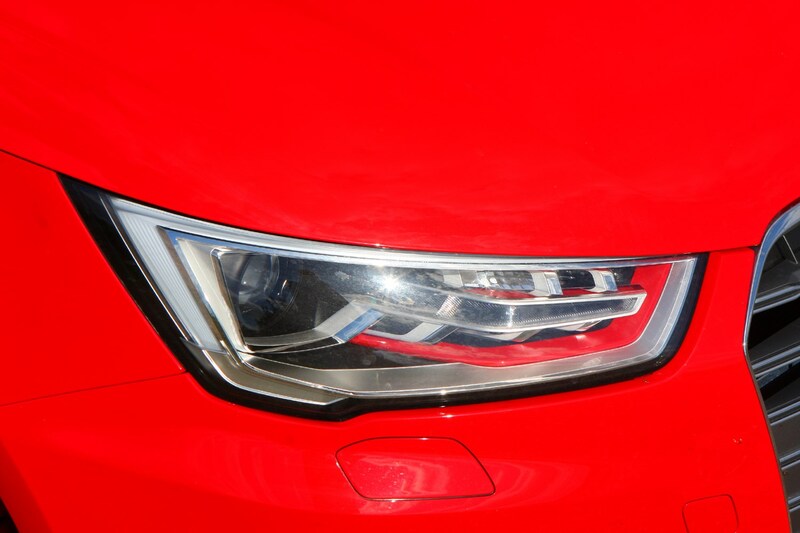 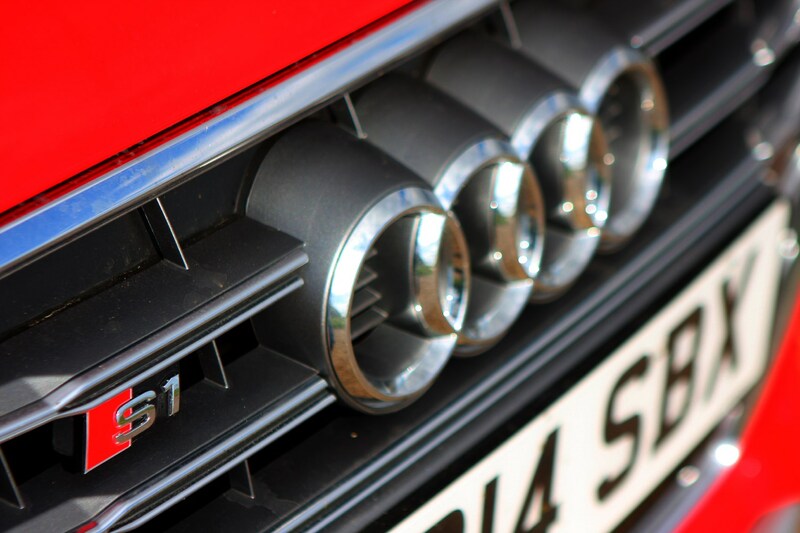 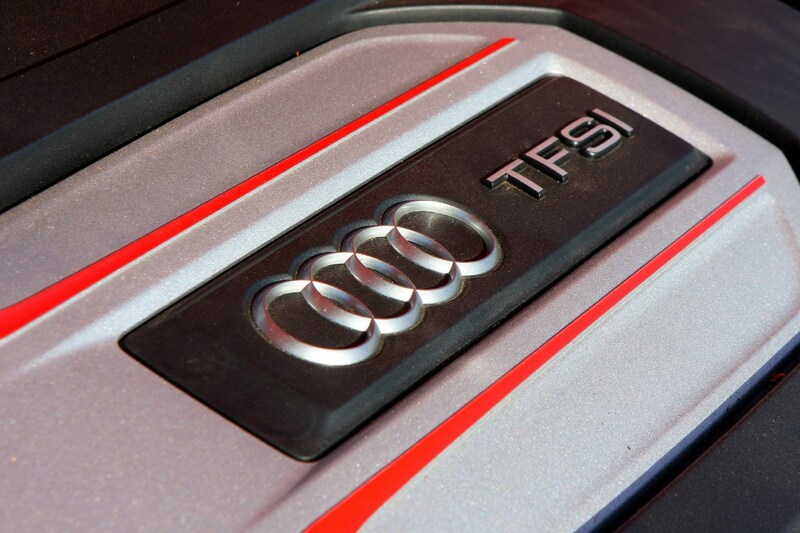 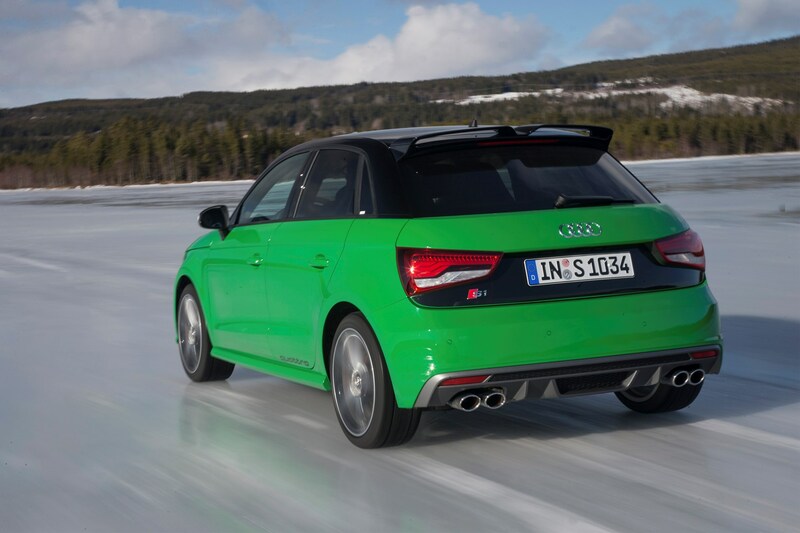 Like all other Audi ‘S’ models, the S1 is four-wheel drive. 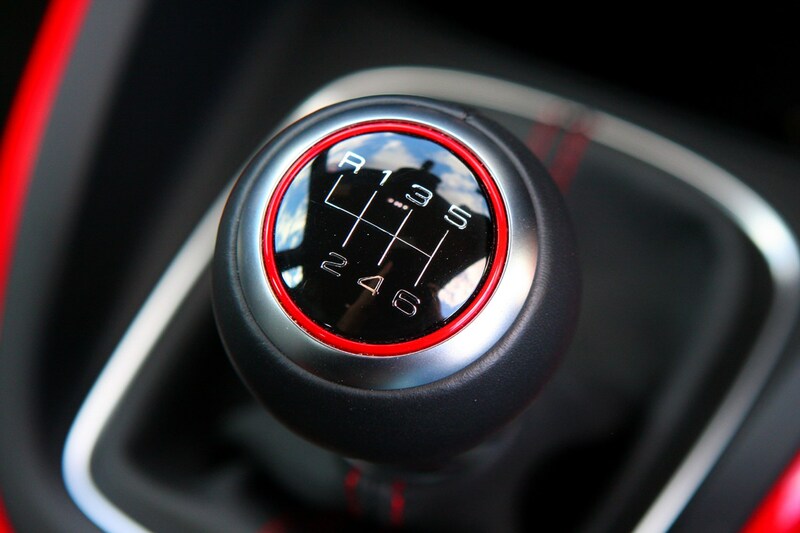 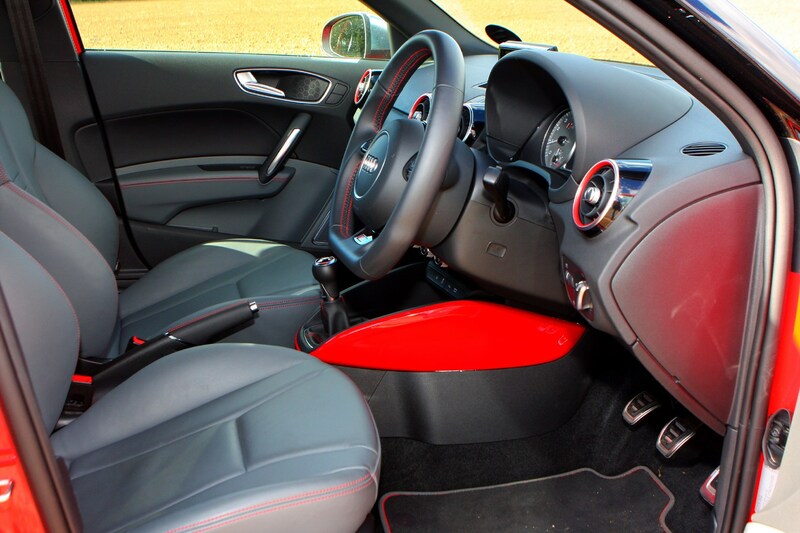 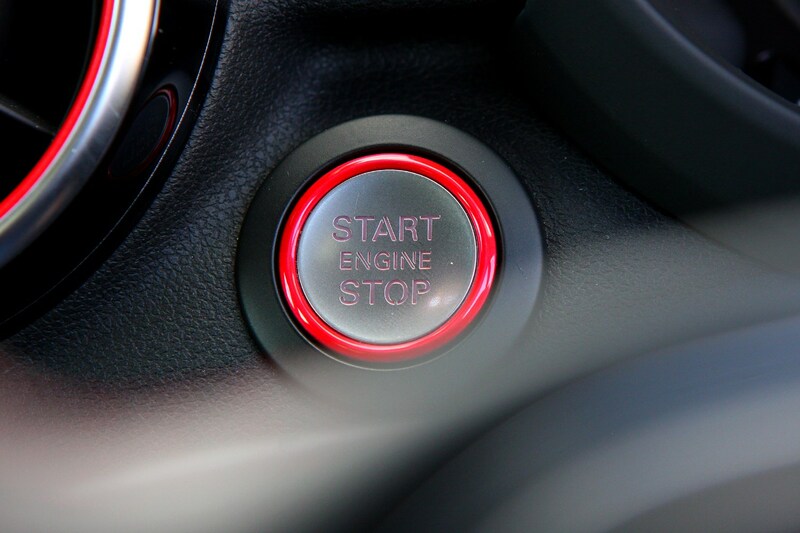 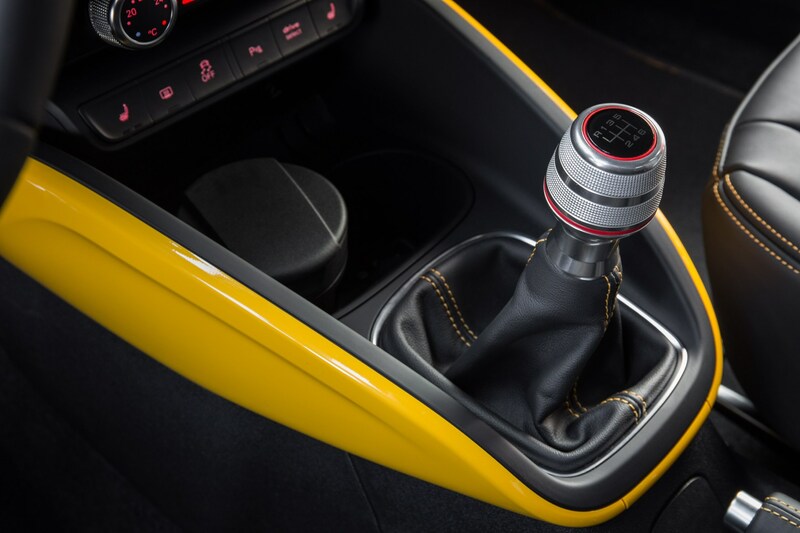 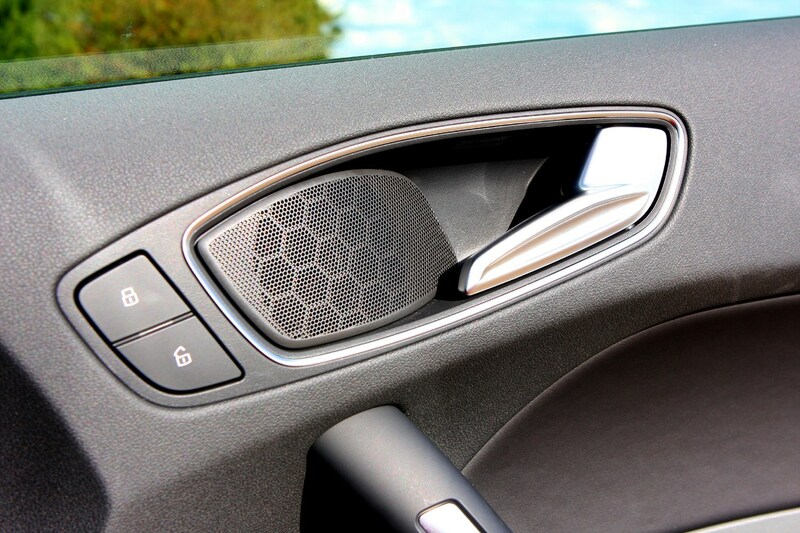 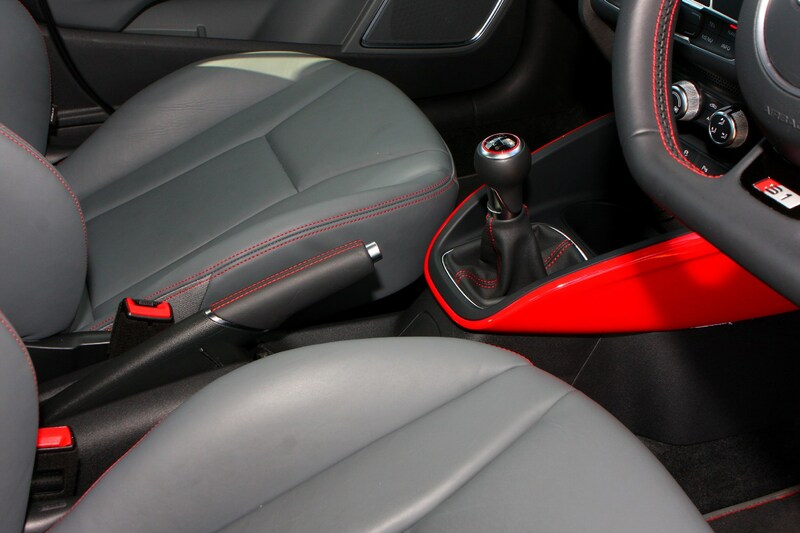 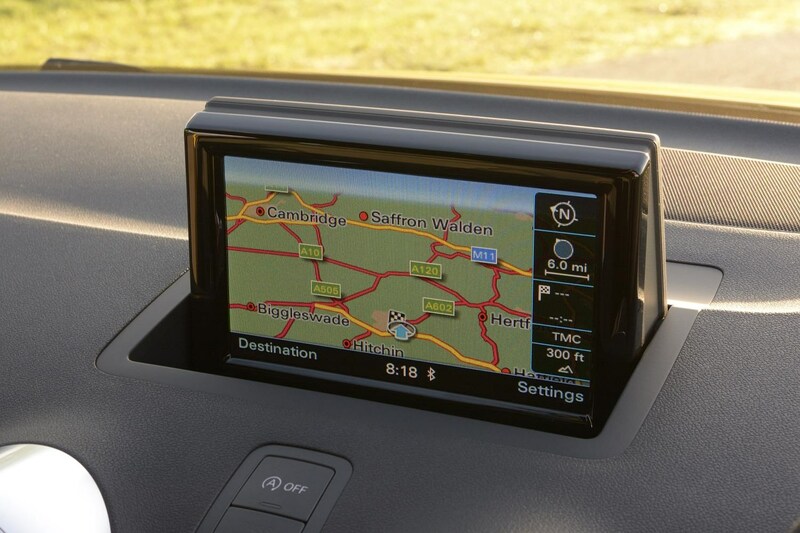 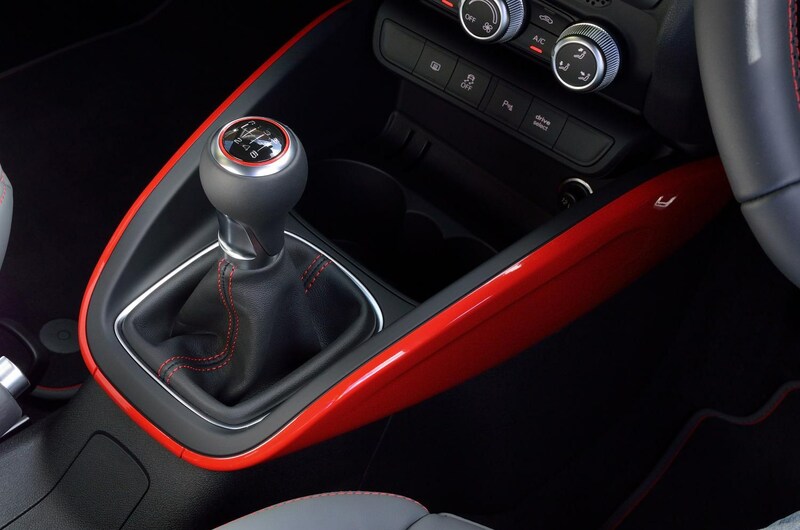 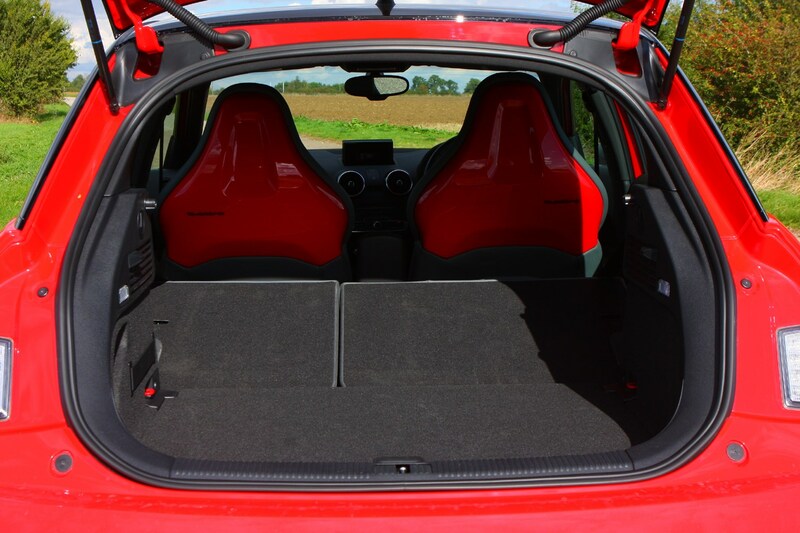 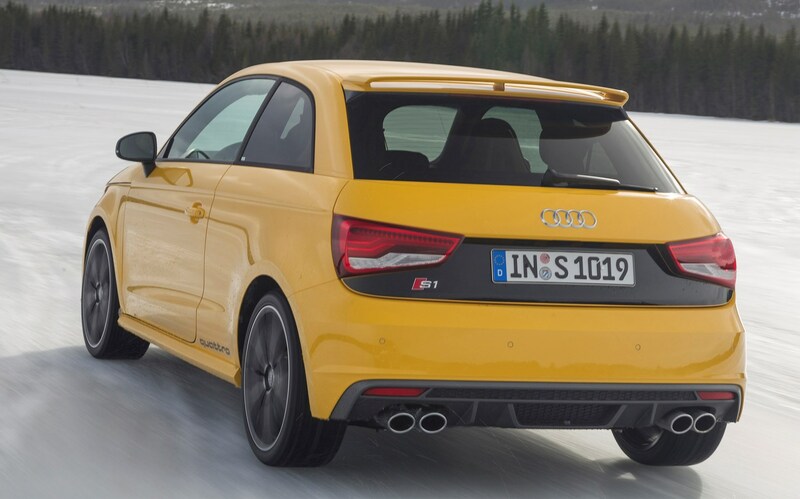 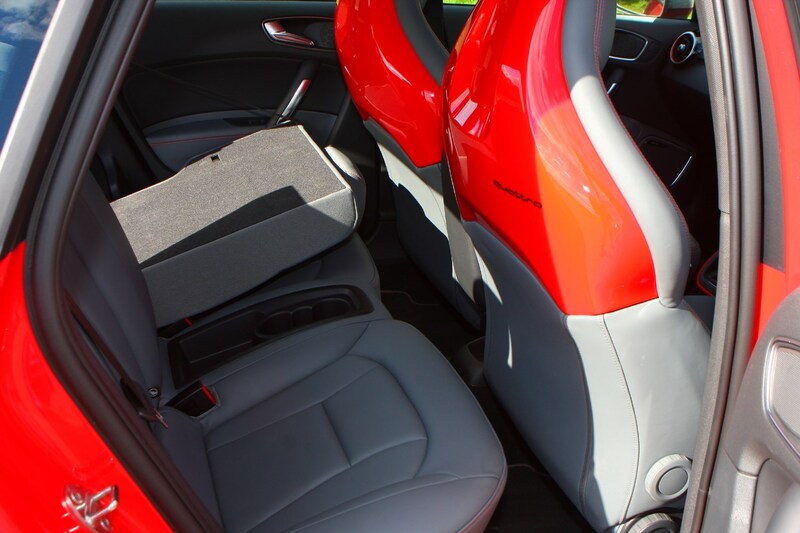 Fitting an all-wheel drive system to a car as compact as the A1 is no easy task, and as a result the S1 is available with a manual gearbox only – an auto option would have been too heavy and awkward to package. 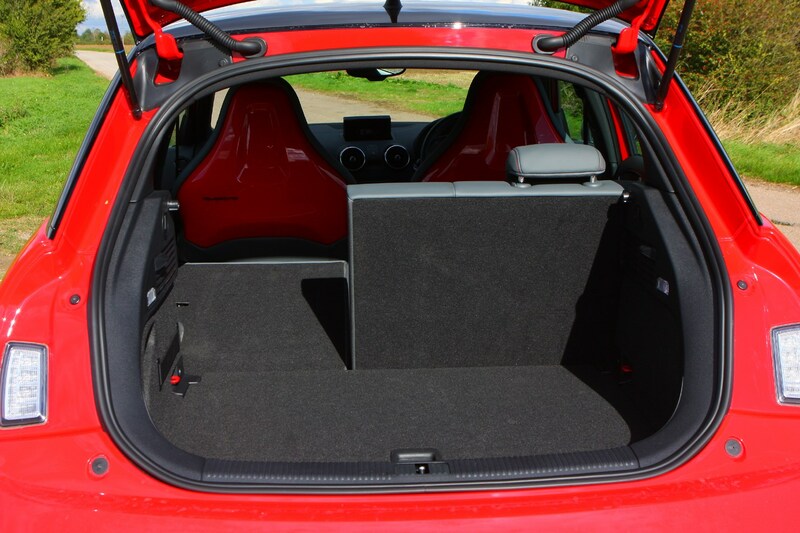 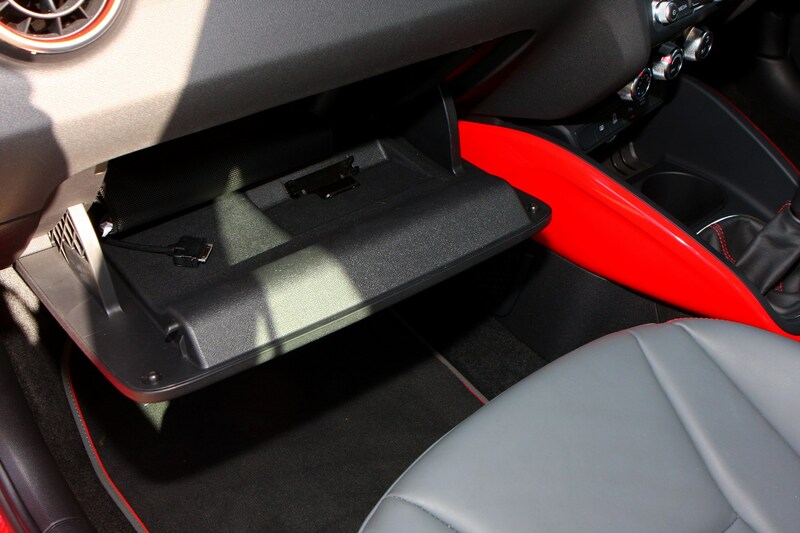 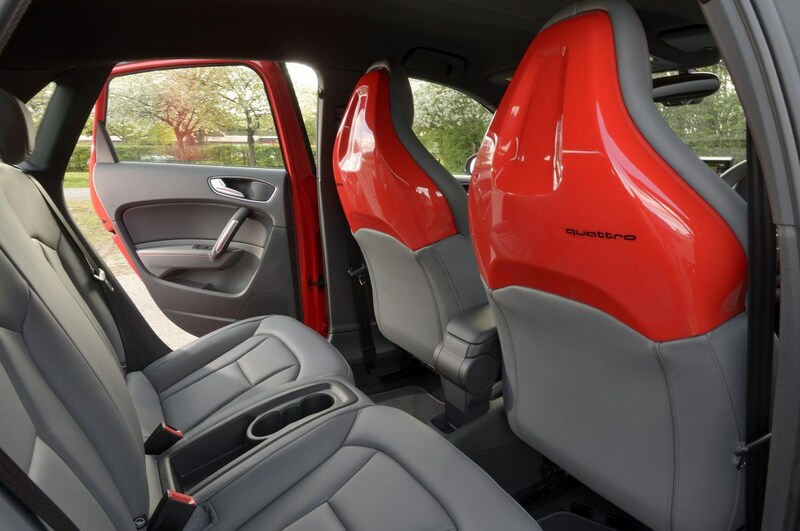 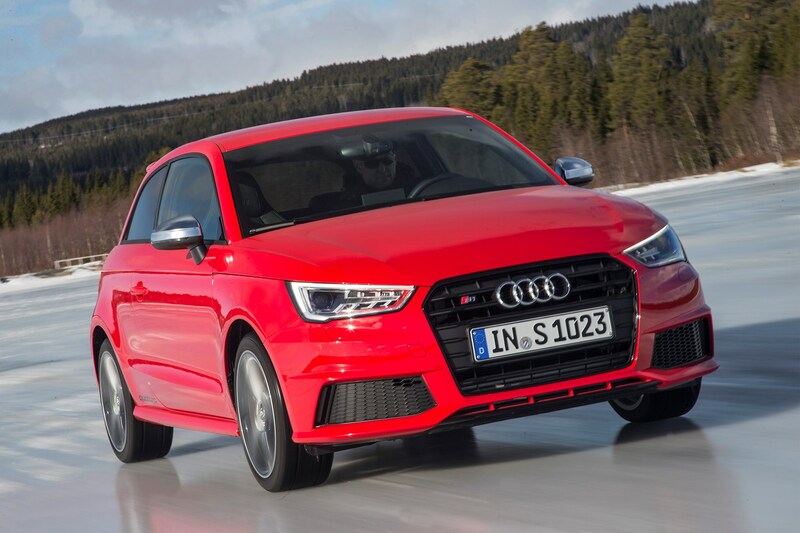 You might expect shoehorning that kind of power into the short-wheelbase A1 would be a recipe for a car that’s something of a handful to drive. 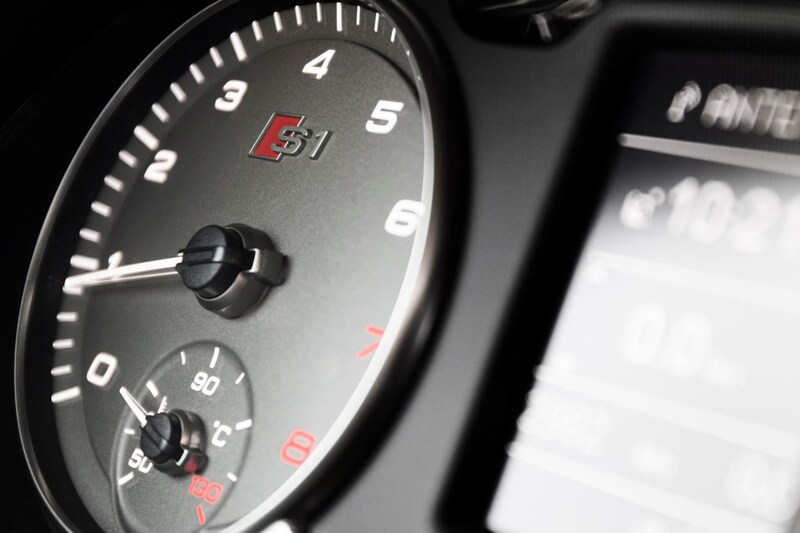 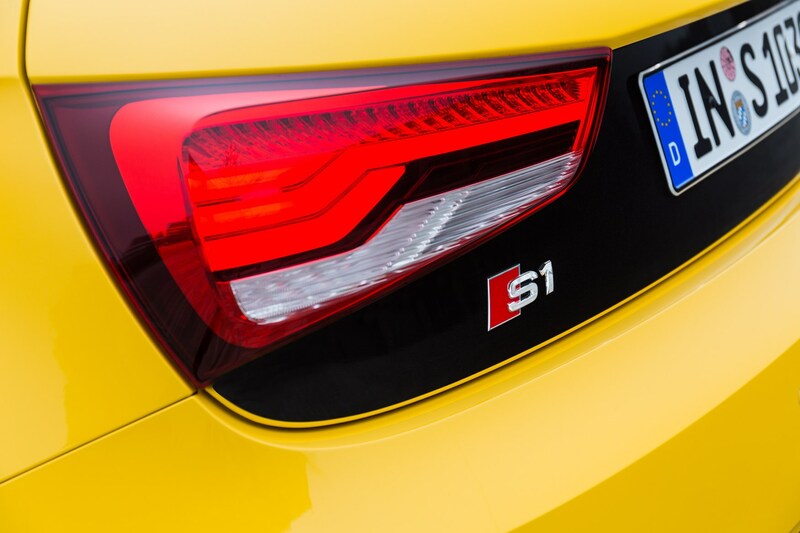 But all kinds of clever electronics work in conjunction with the four-wheel drive system to keep the S1 on the straight and narrow, varying the amount of torque and braking force sent to each wheel. 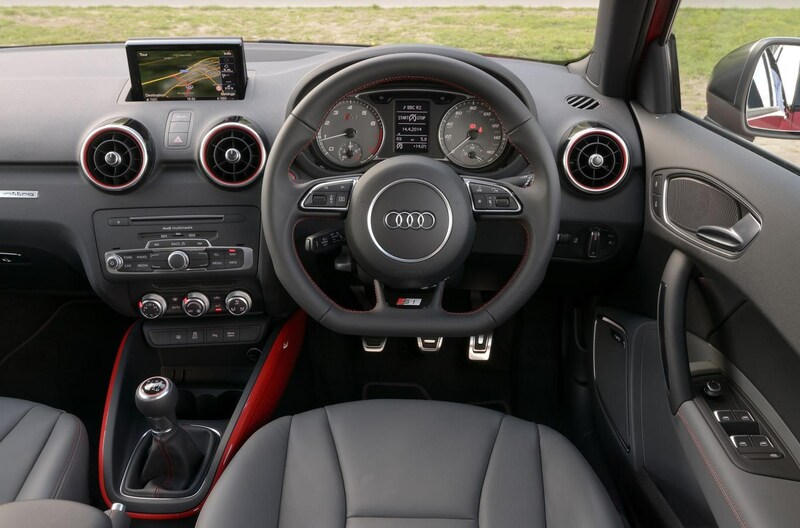 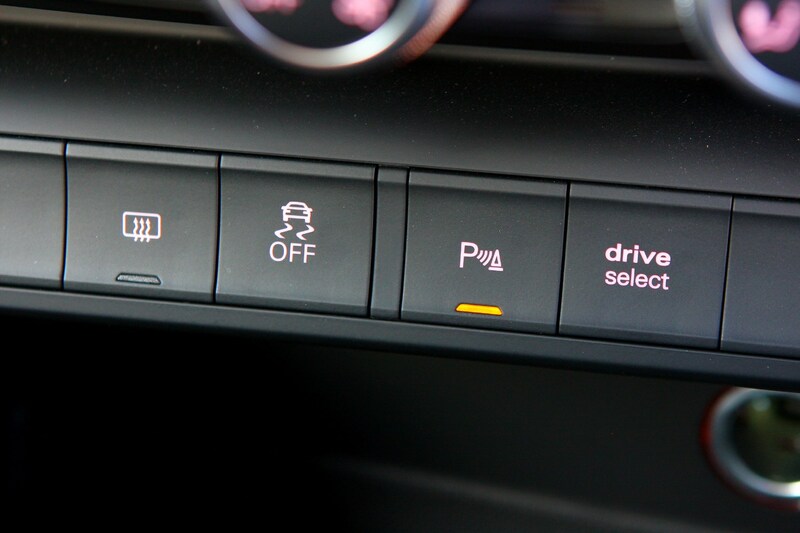 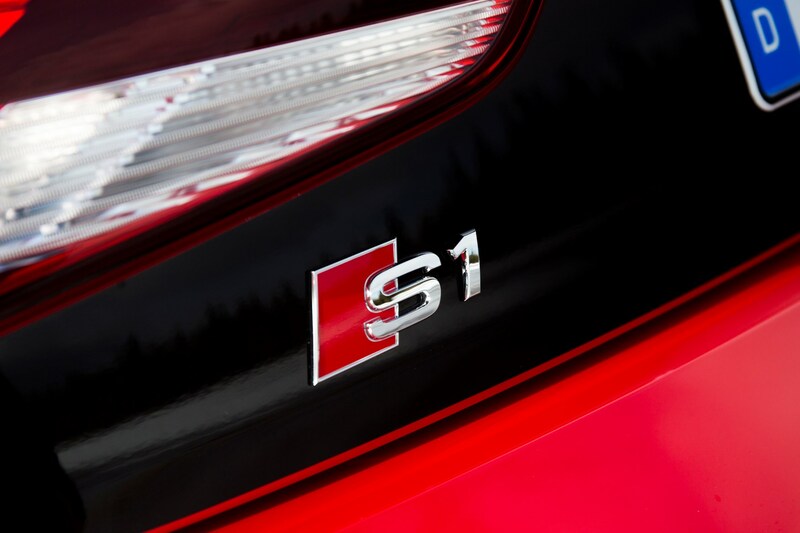 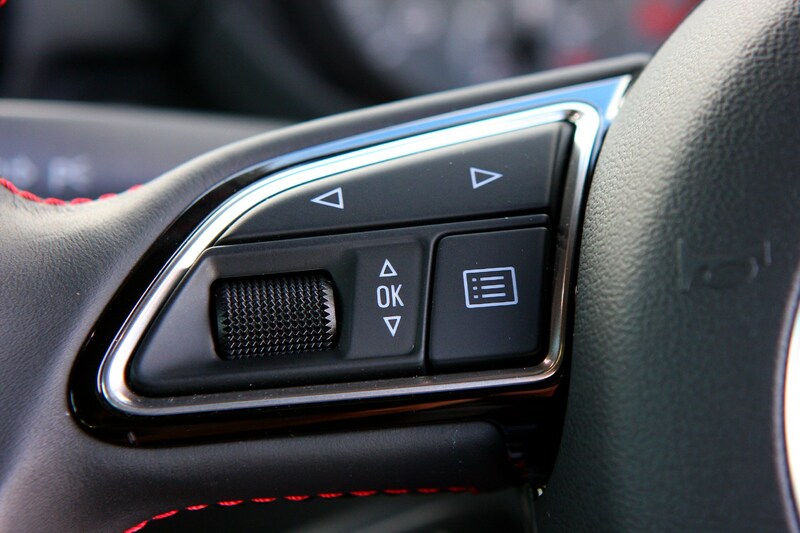 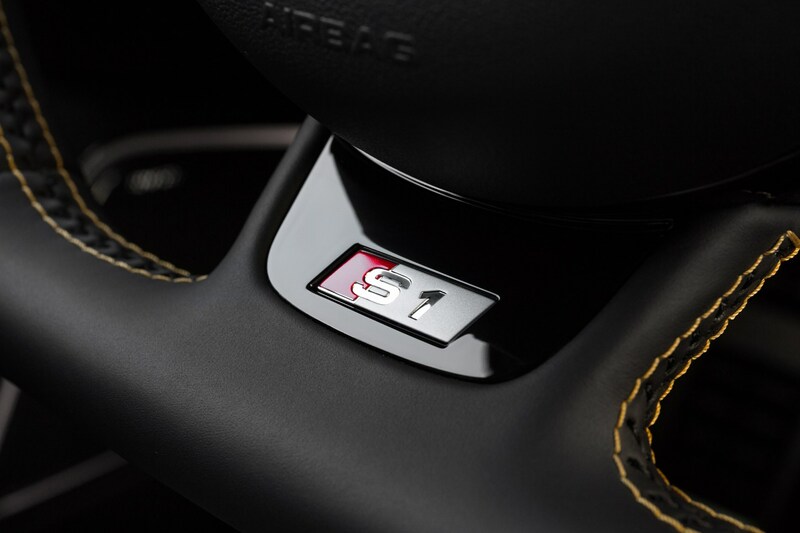 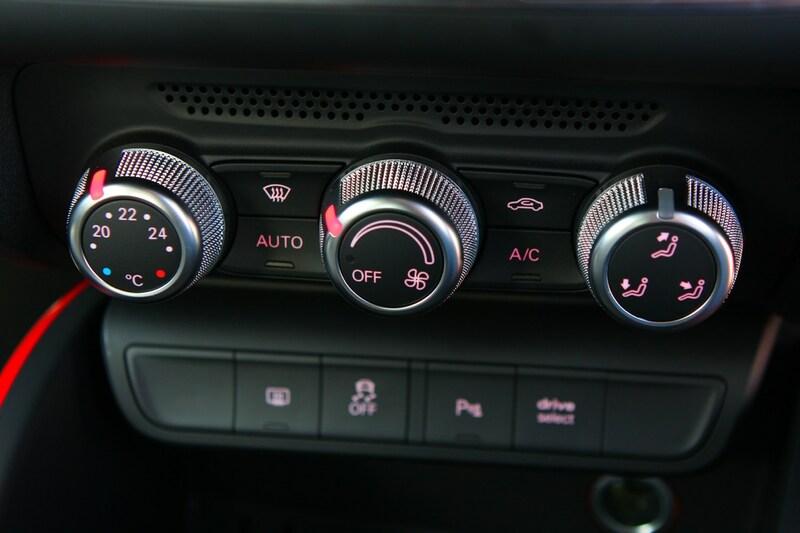 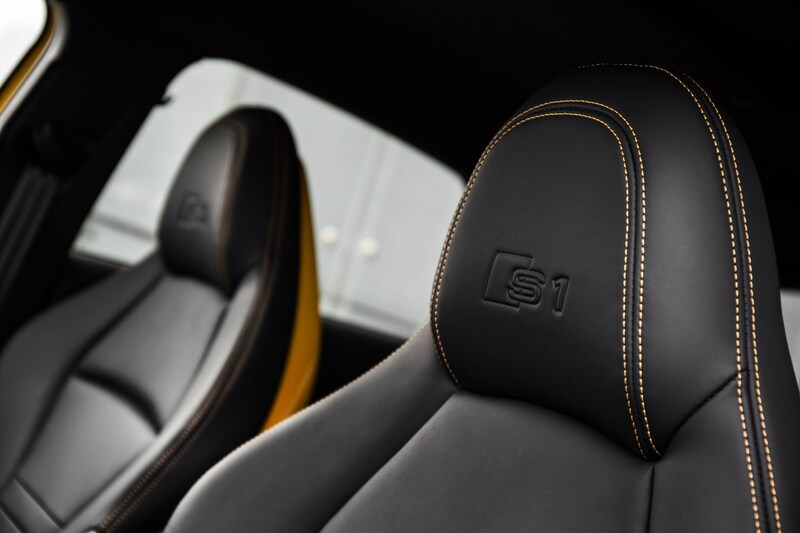 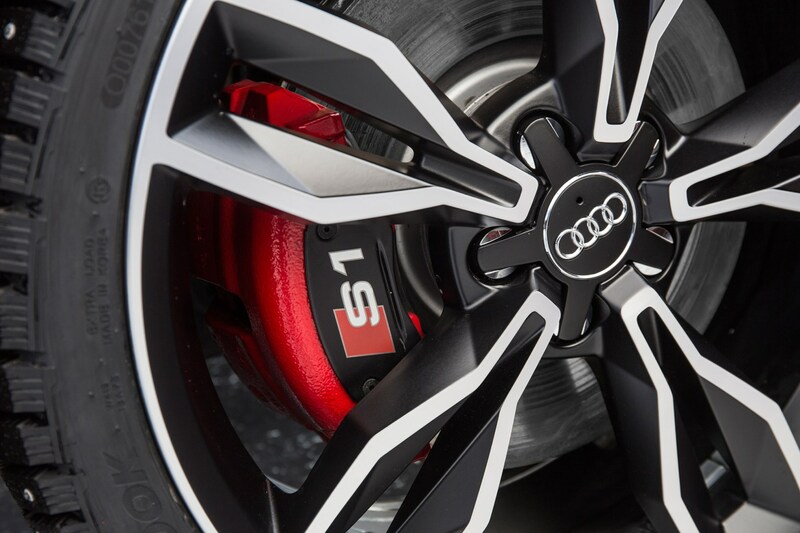 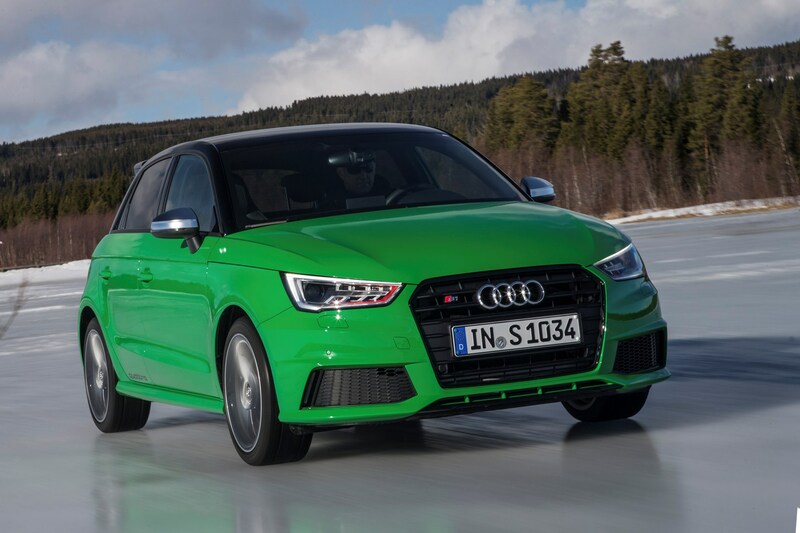 Compared with the regular A1, the S1 also features bigger brakes and a more sophisticated suspension setup that includes electronically controlled dampers with switchable settings via the S1’s Drive Select menu. 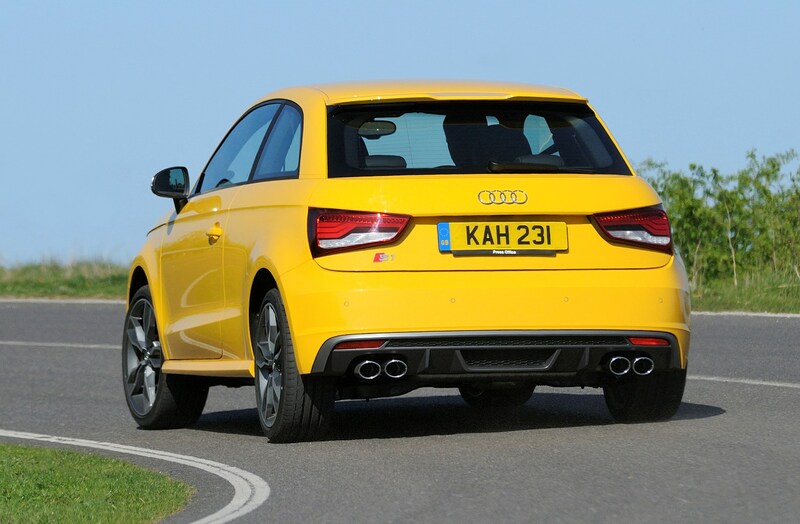 On the road, it’s certainly quick with the 2.0-litre turbo engine proving to be a smooth, flexible and very muscular powerplant. 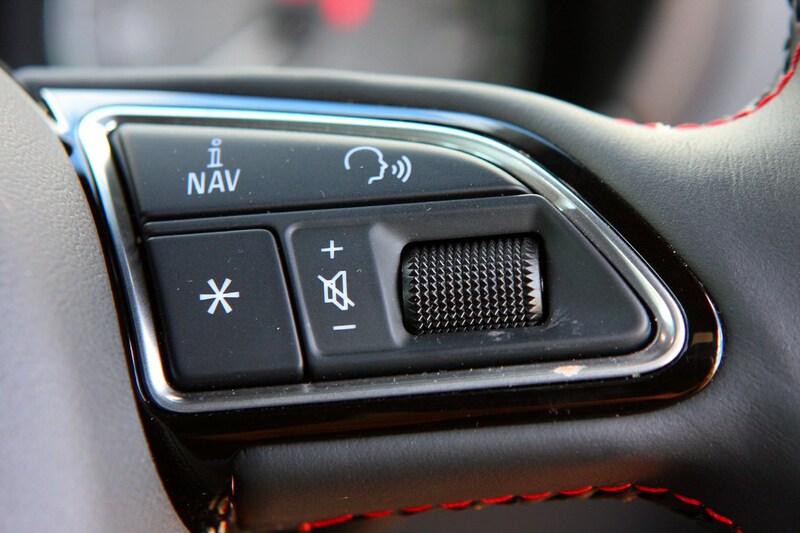 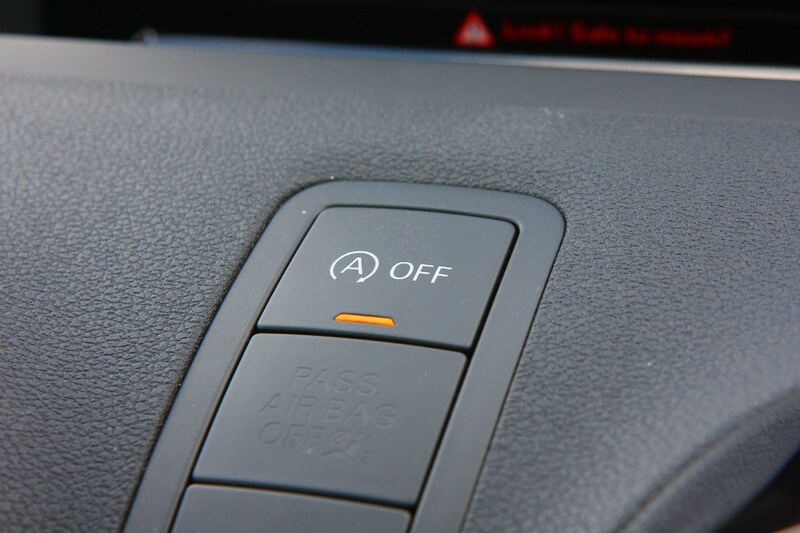 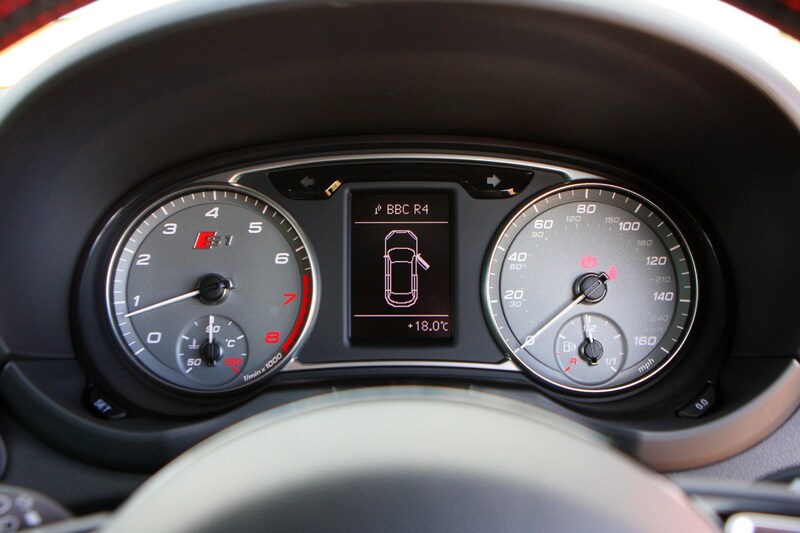 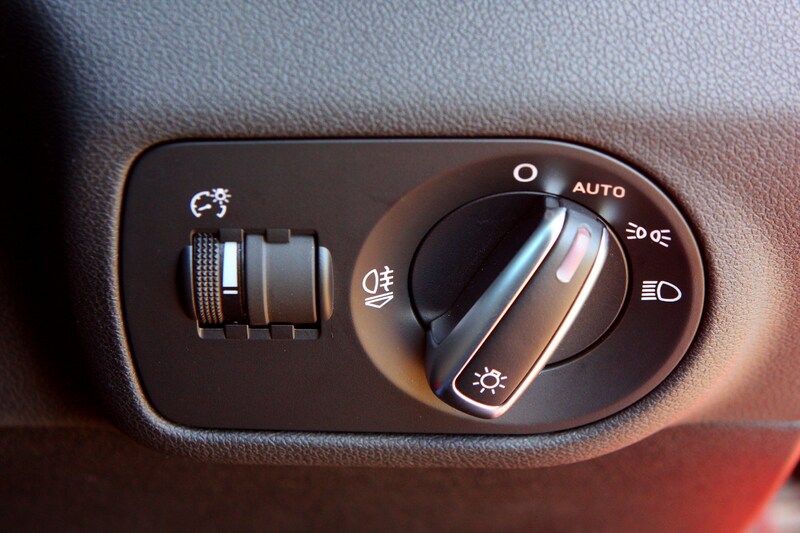 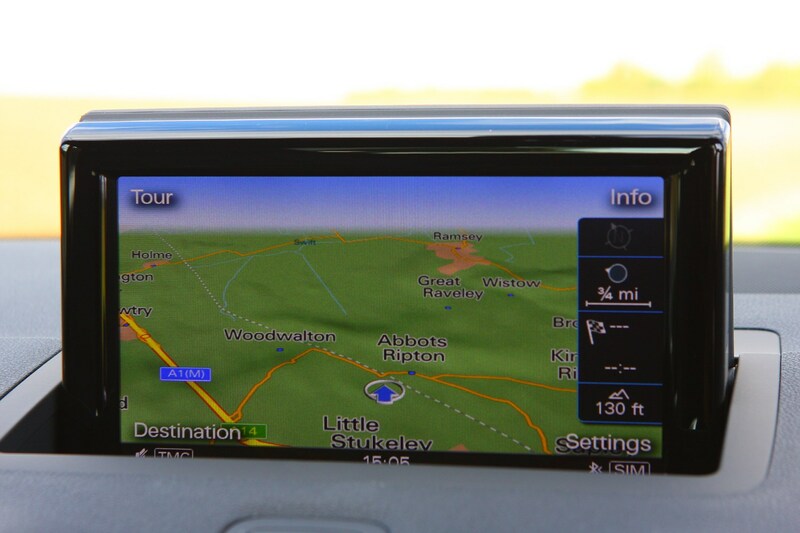 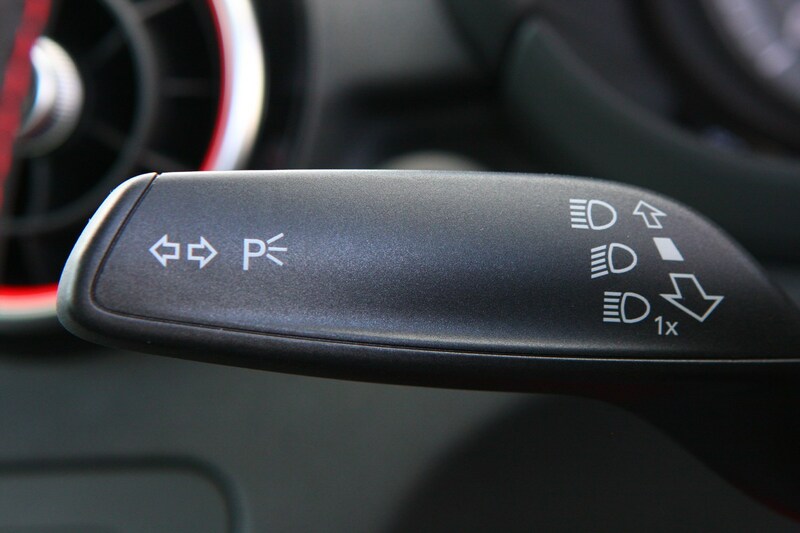 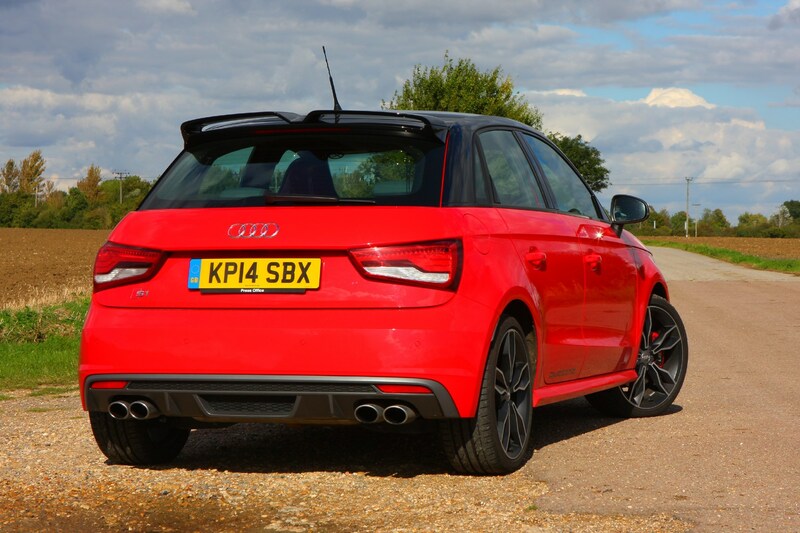 Given the performance it’s economical too, with claimed average fuel consumption around the 40mpg mark. 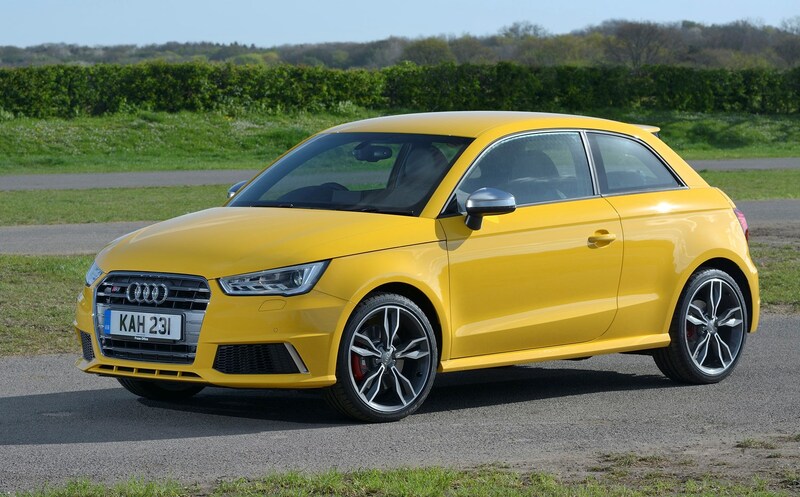 To make the S1 look the part it’s been fitted with wide 17-inch alloy wheels (18s are an option), a more aggressive bumper design and a roof spoiler. 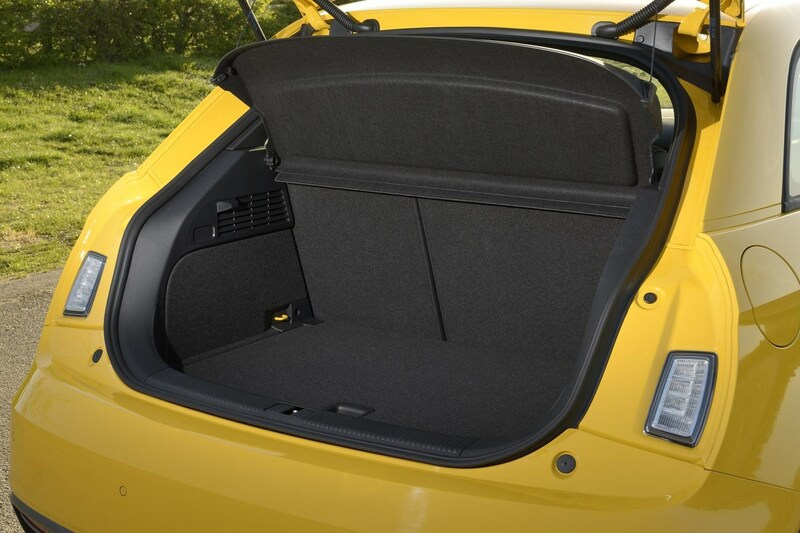 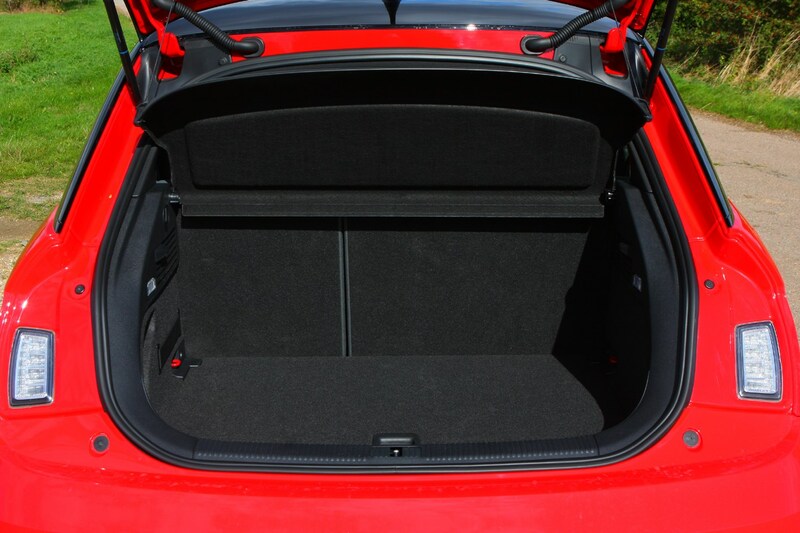 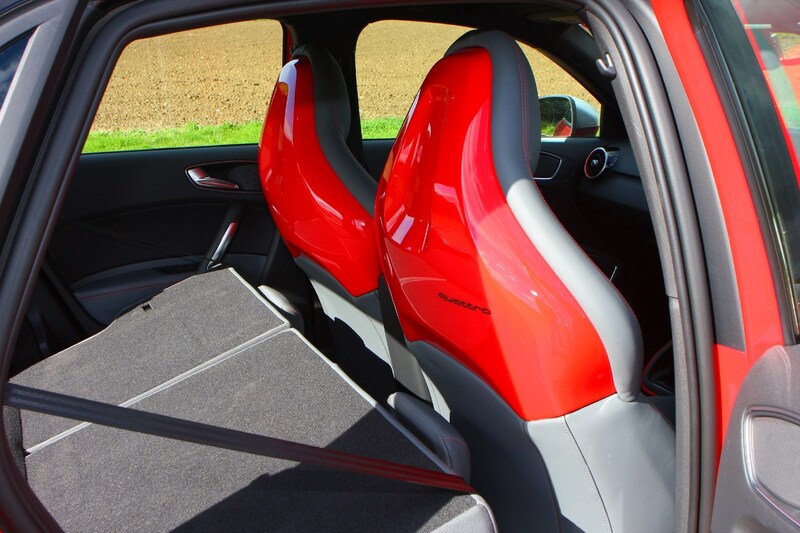 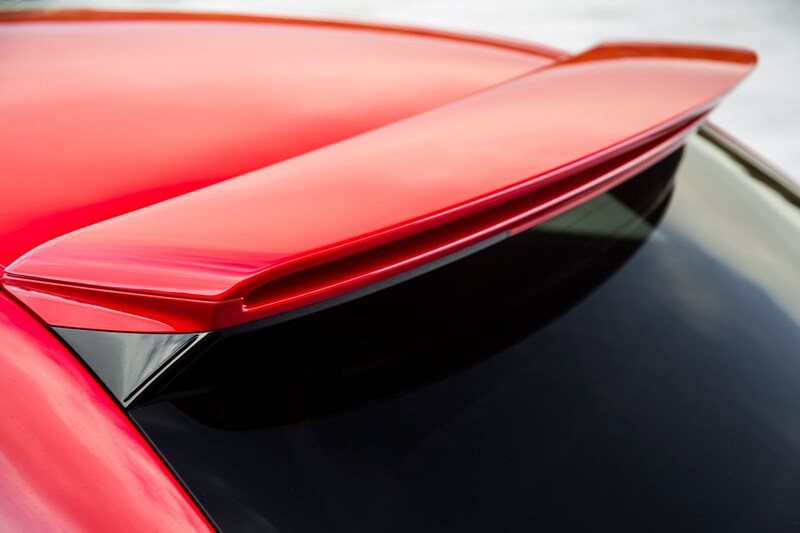 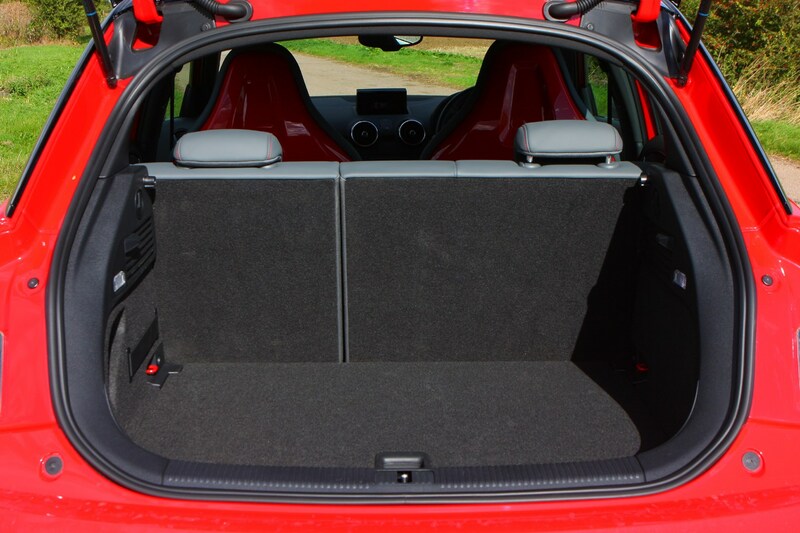 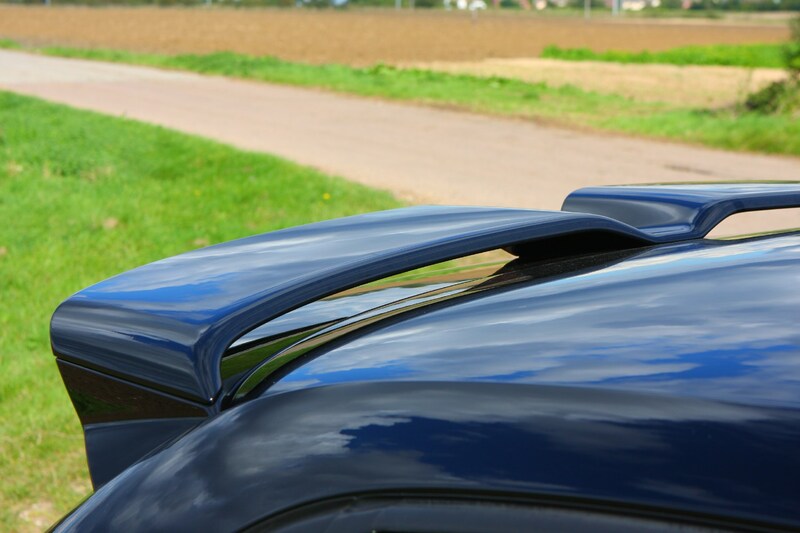 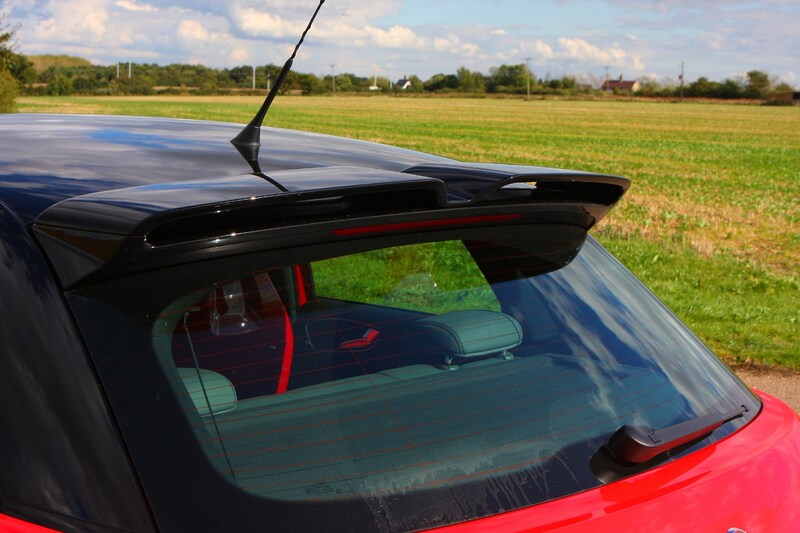 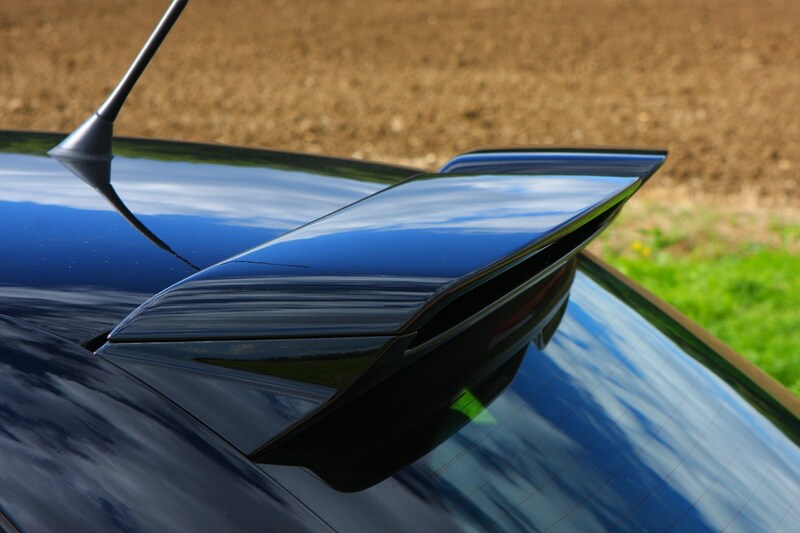 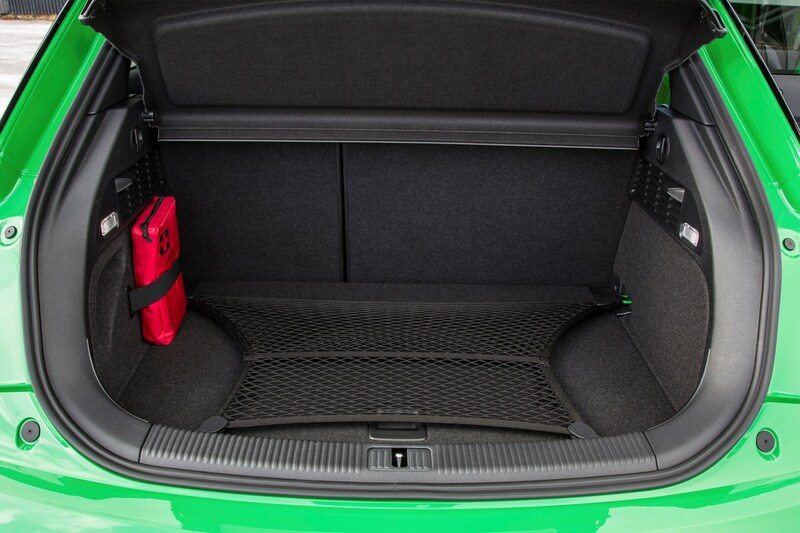 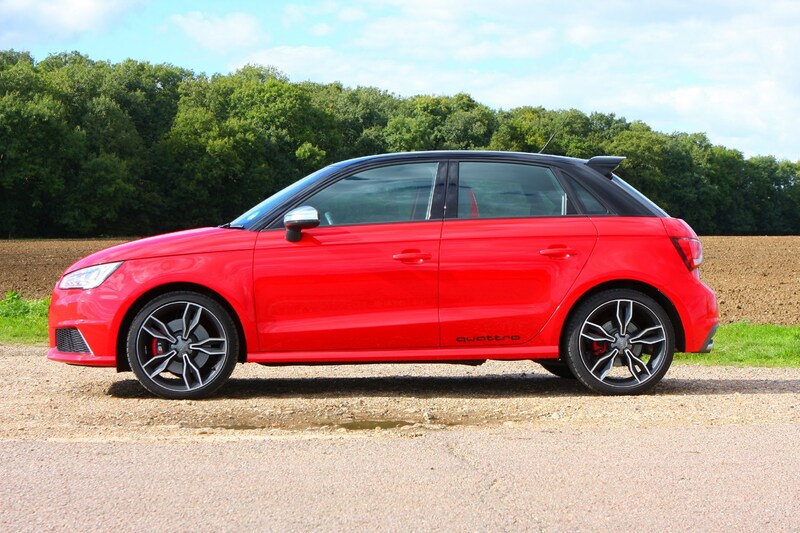 Customers wishing to make their S1 stand out a little further can also choose some outlandish colours (for both the inside and outside) and an optional styling pack including a more extrovert rear spoiler design. 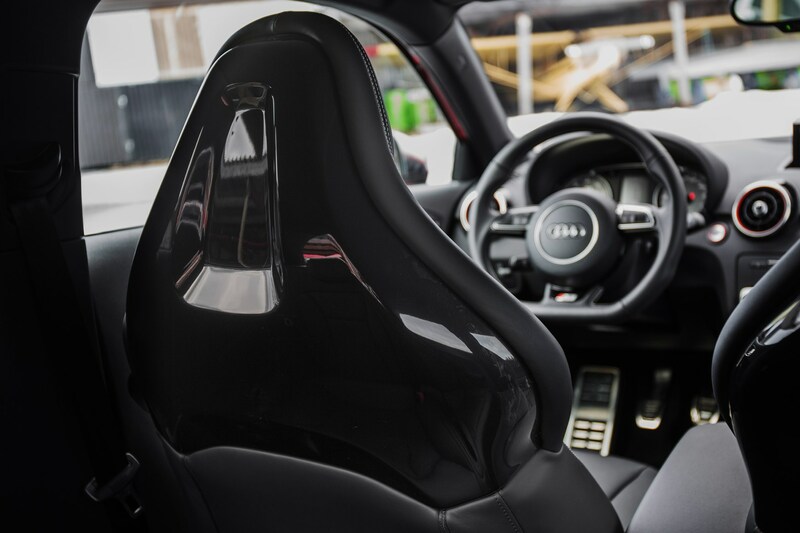 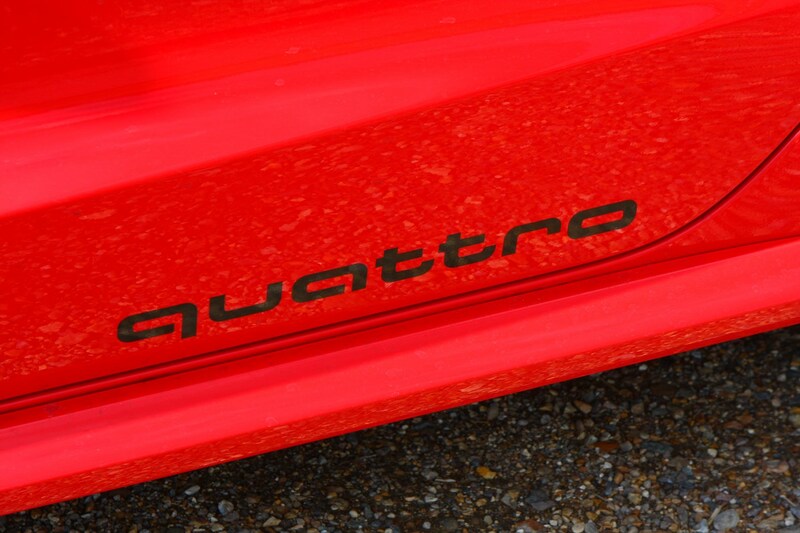 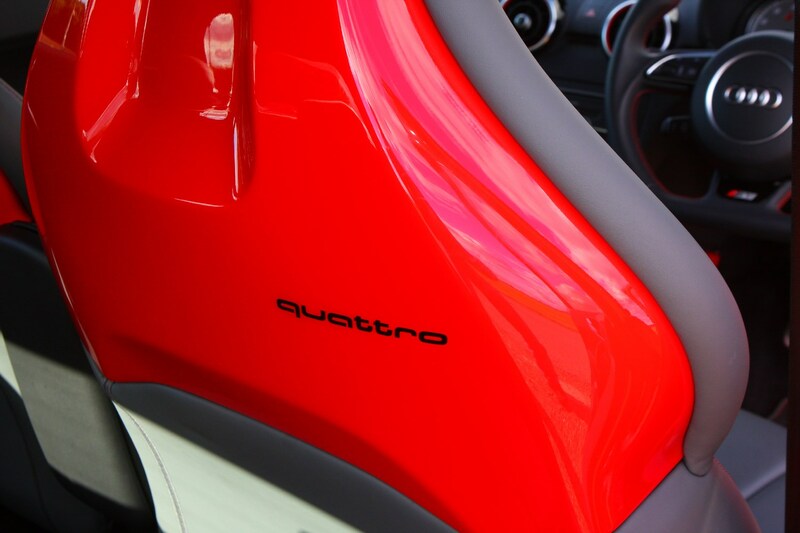 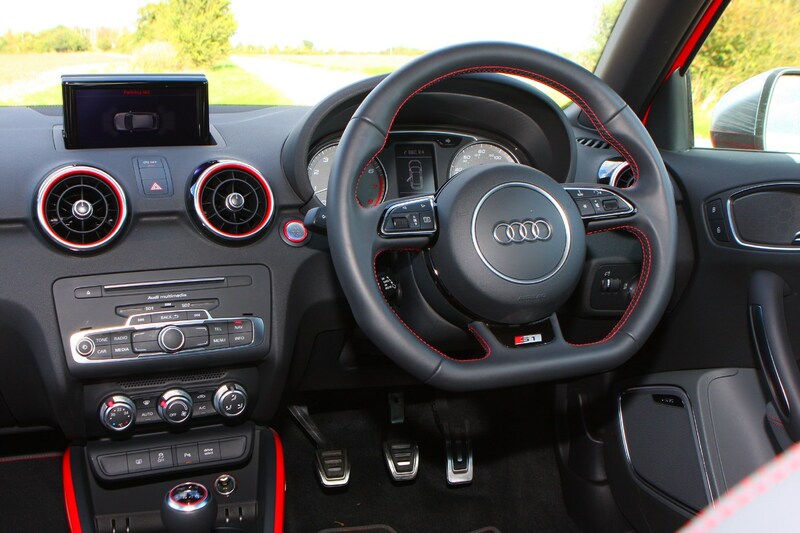 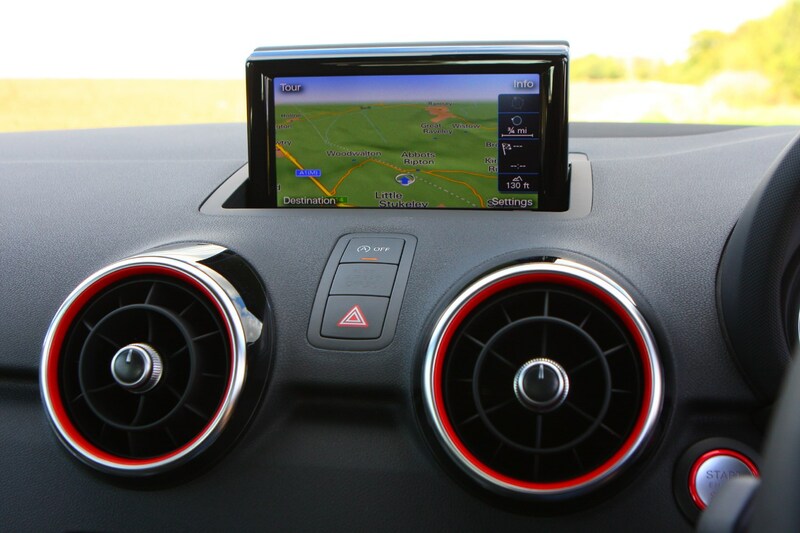 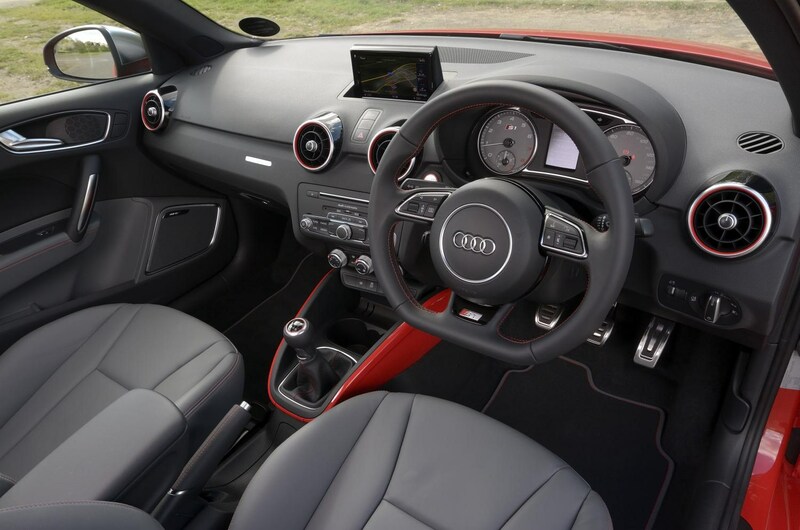 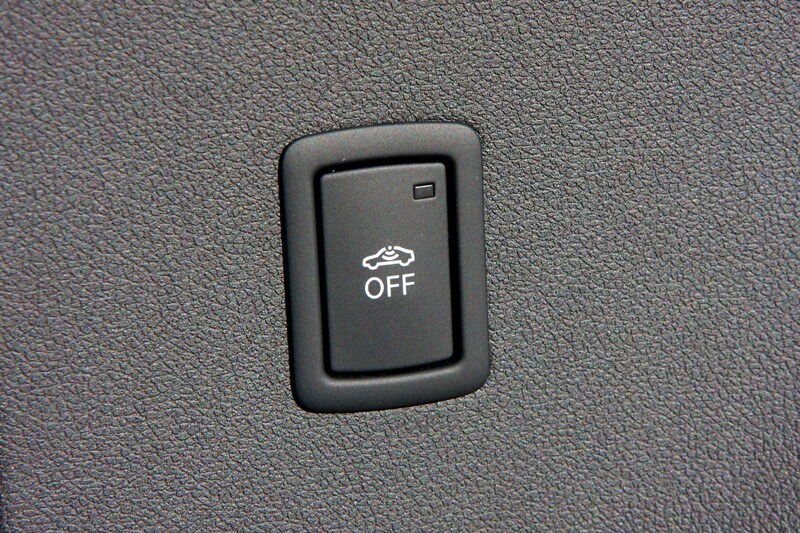 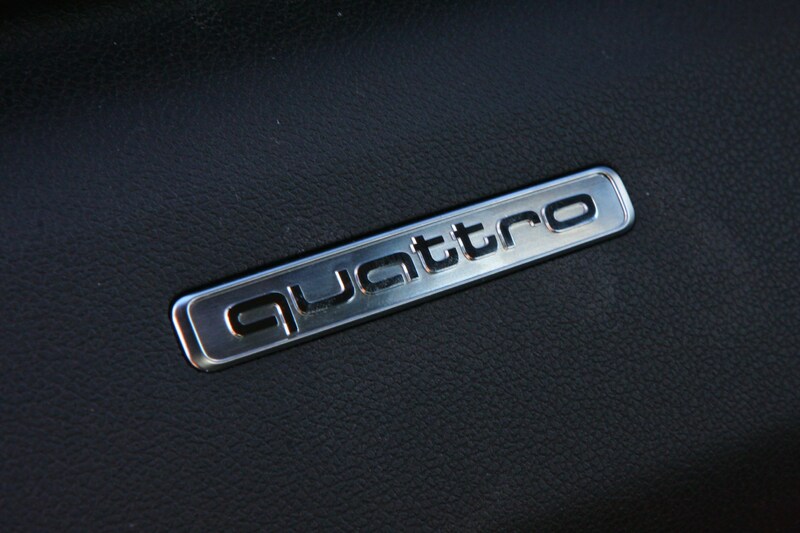 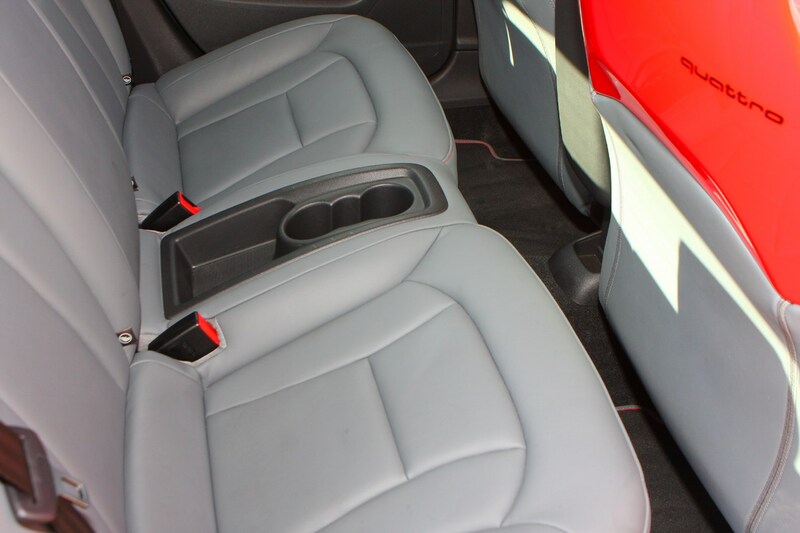 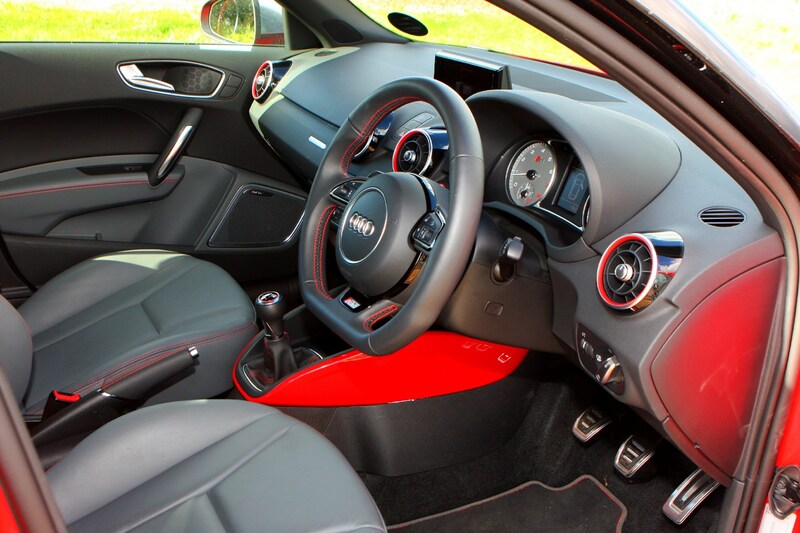 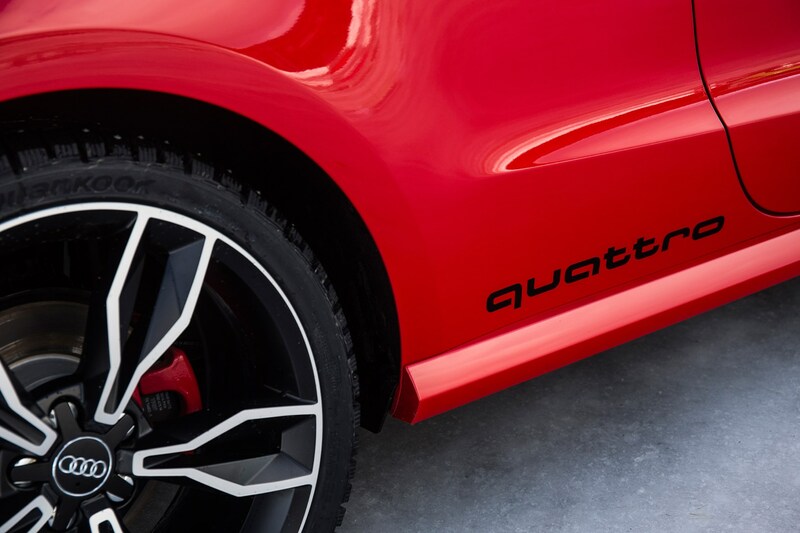 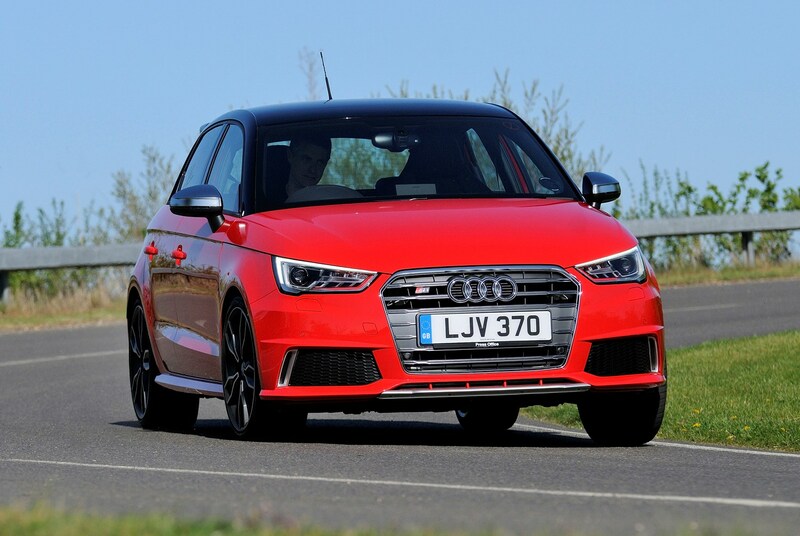 There is a precedent for the S1 in the form of the Audi A1 quattro, which was a limited-run (very limited, in fact – only 19 cars were allocated for the UK, all of them left-hand drive) 253bhp four-wheel-drive special cooked up by Audi’s engineers with an eye-watering price tag of more than £40,000. 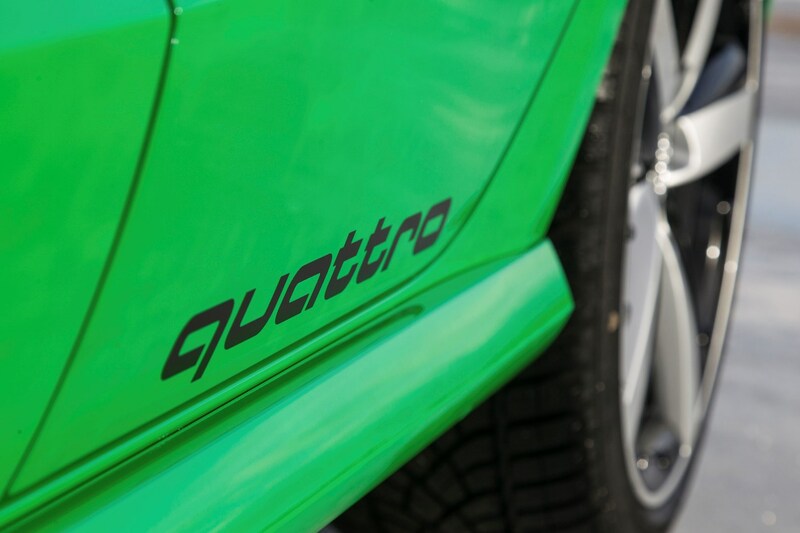 Much of the A1 quattro project’s DNA has filtered through to the S1, which is powered by the same engine albeit with a little less power. 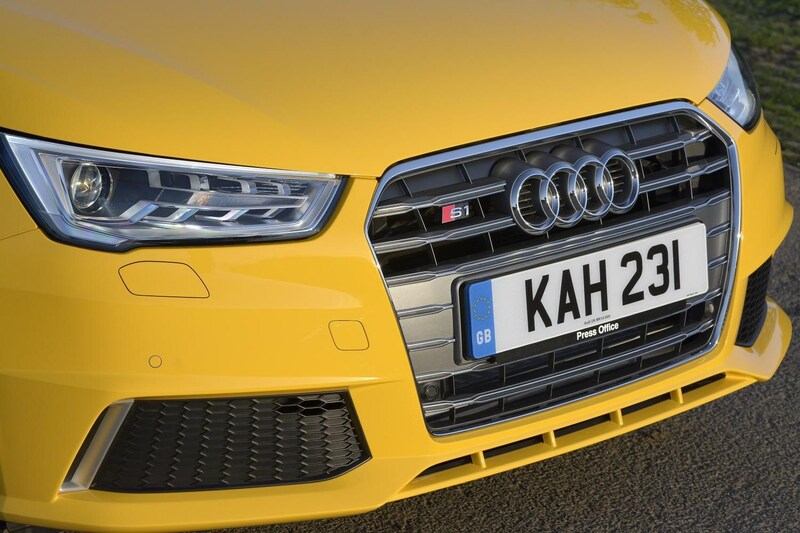 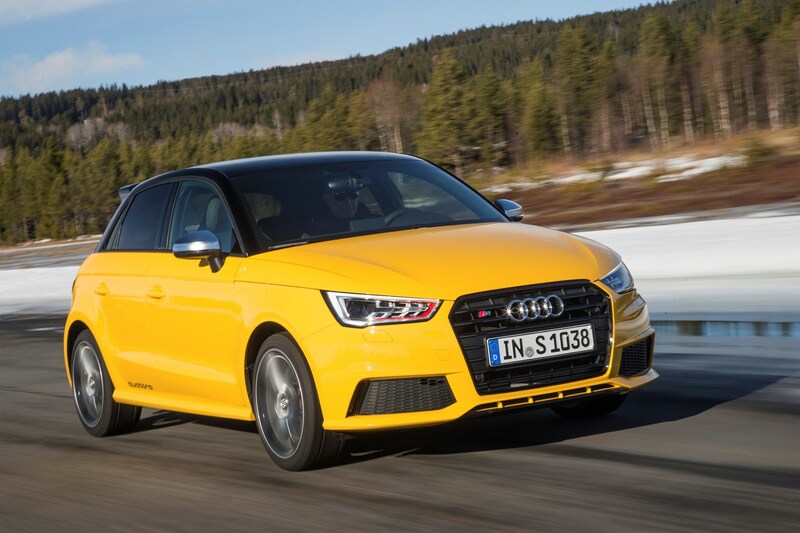 Audi describes the S1 as having 90 percent of the performance of the A1 quattro but thankfully it’s an awful lot less expensive, with a starting price at launch of nearly £25,000 for the three-door model. 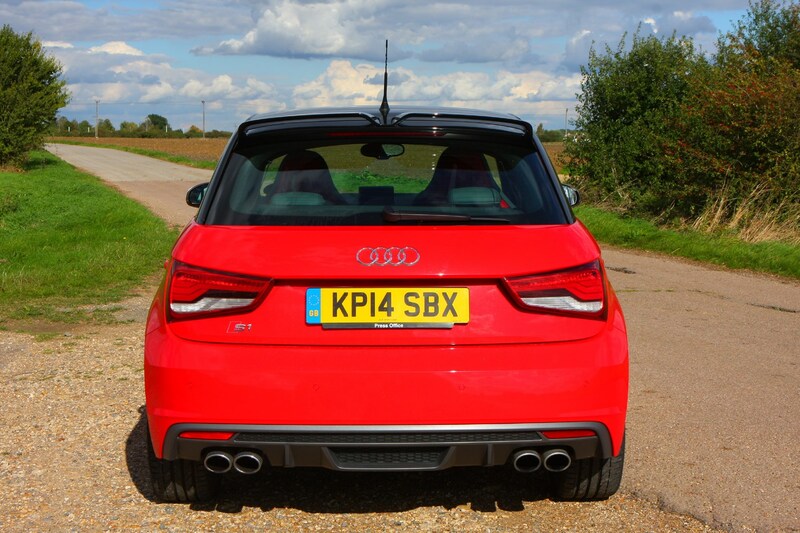 That’s still a sizeable chunk of money for a small hatchback, but it isn’t a huge leap in price over a well-specced regular A1 Sportback. 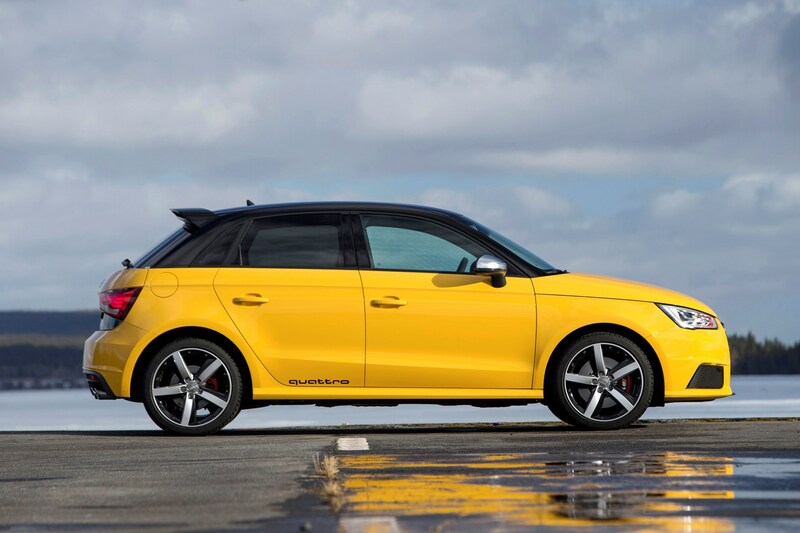 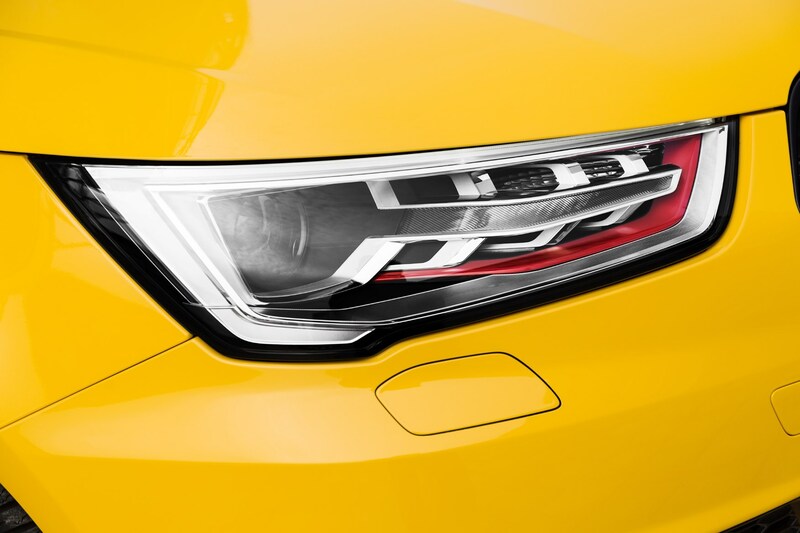 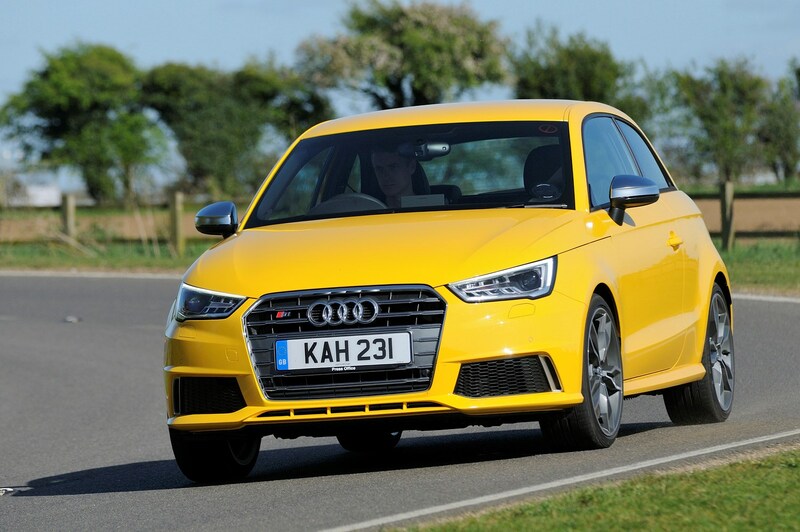 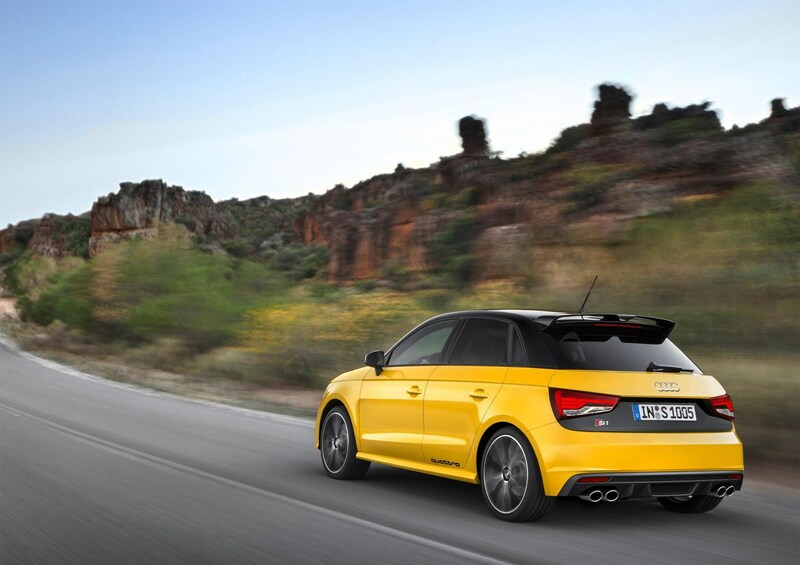 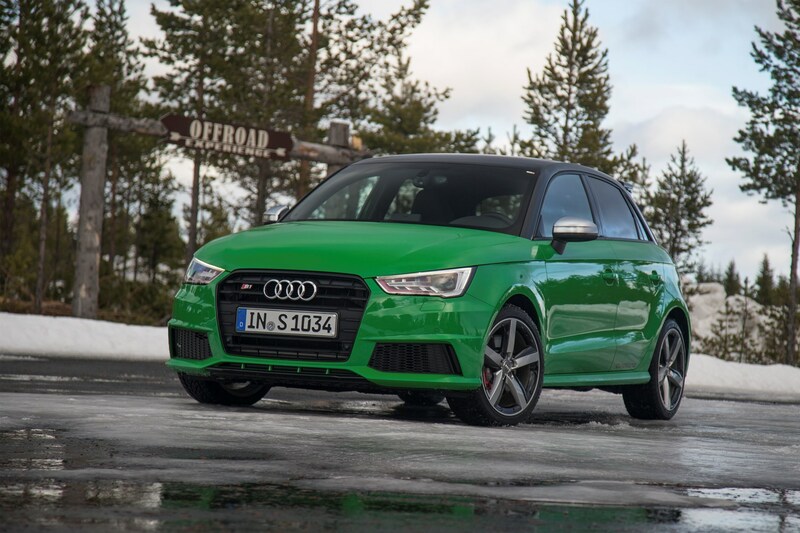 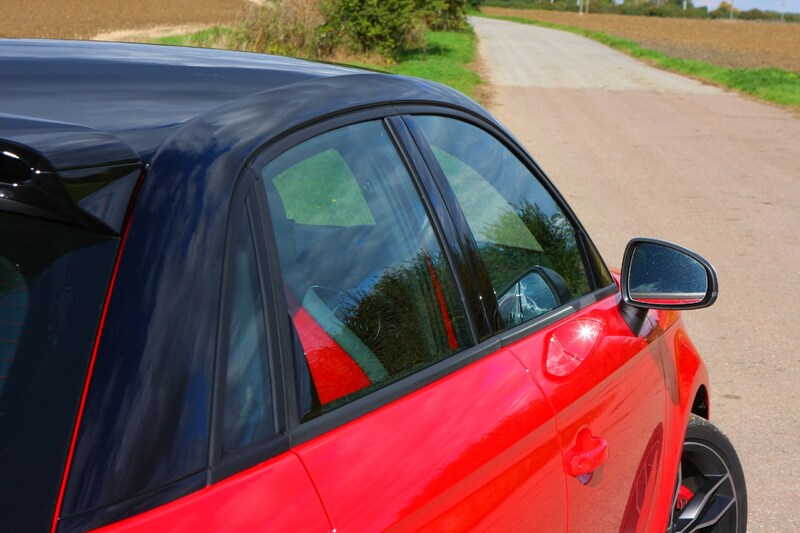 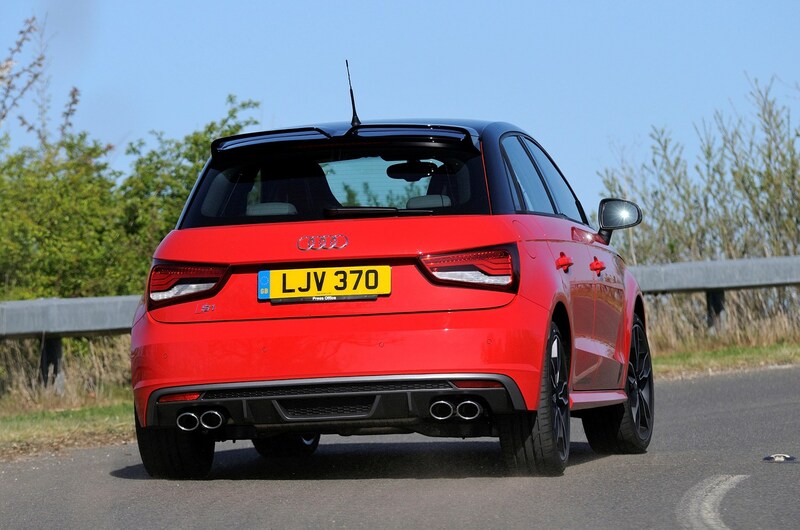 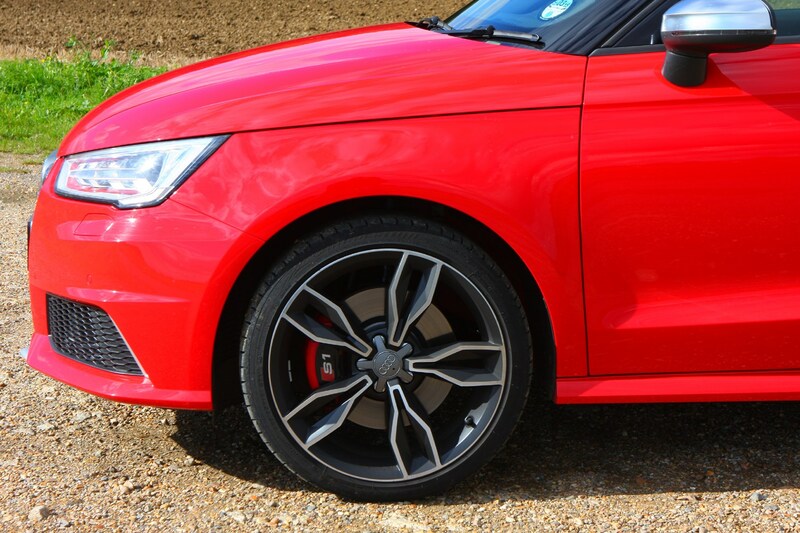 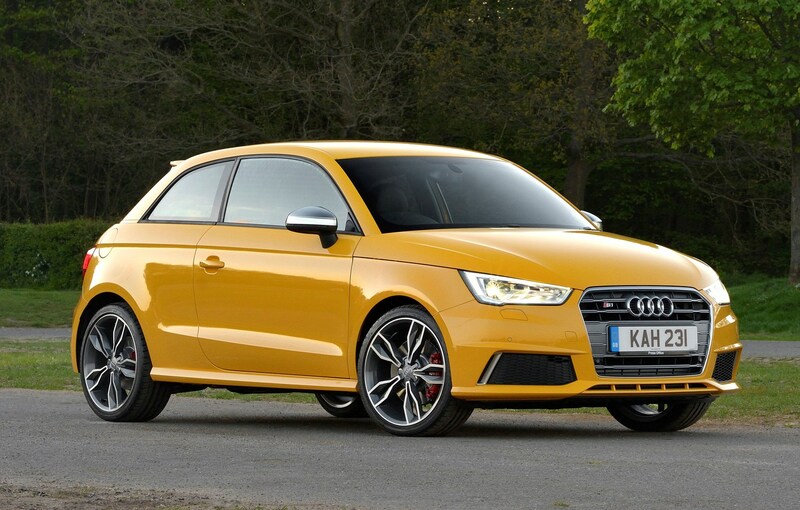 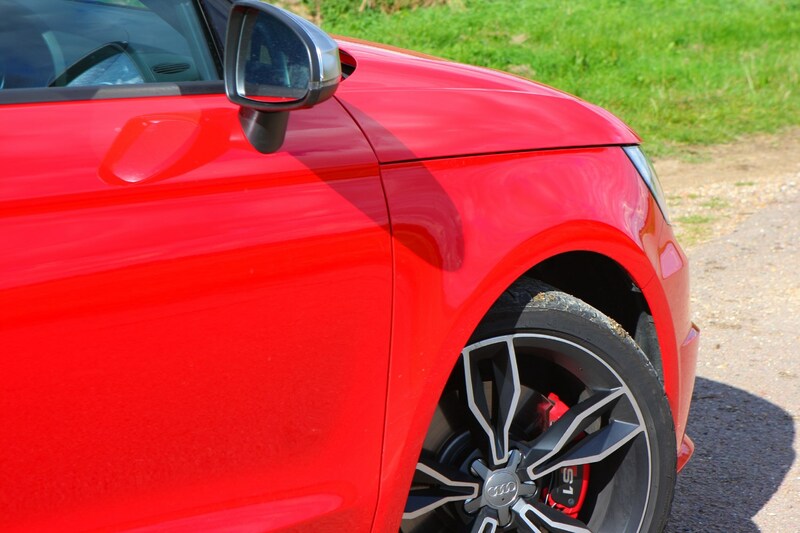 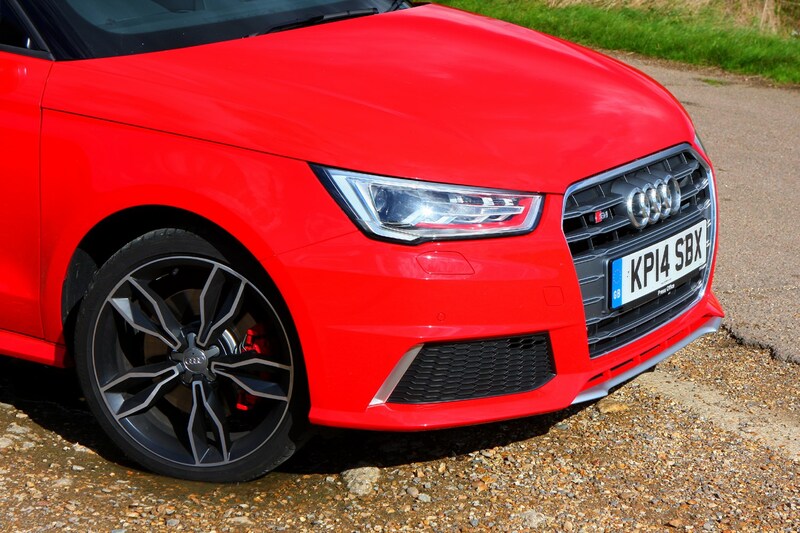 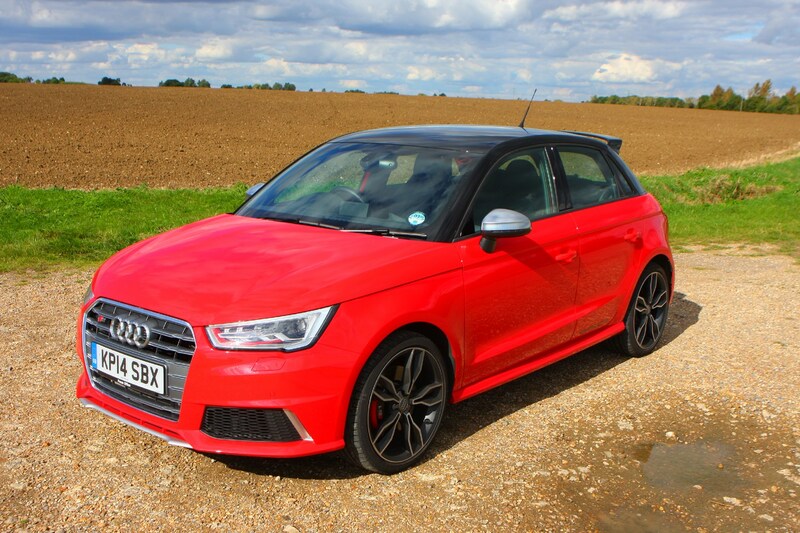 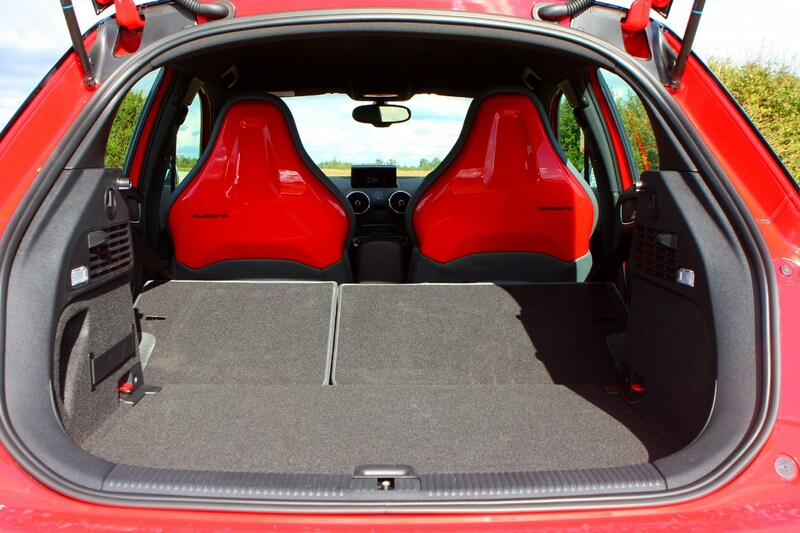 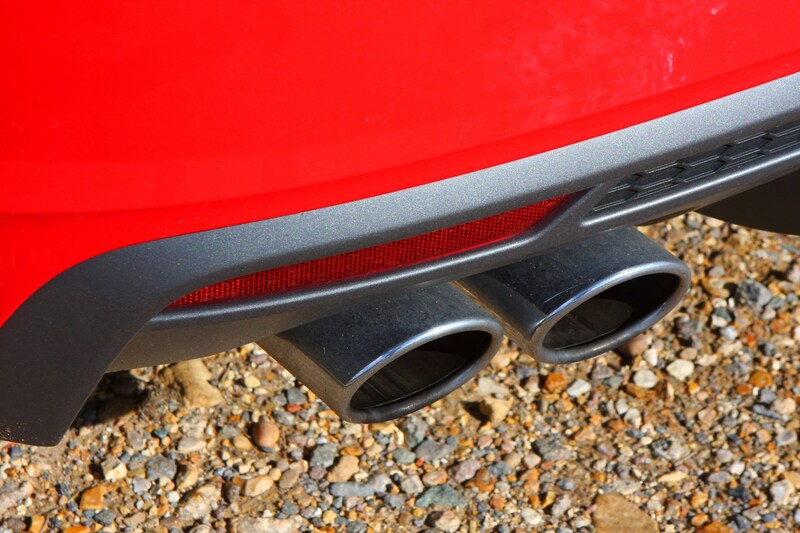 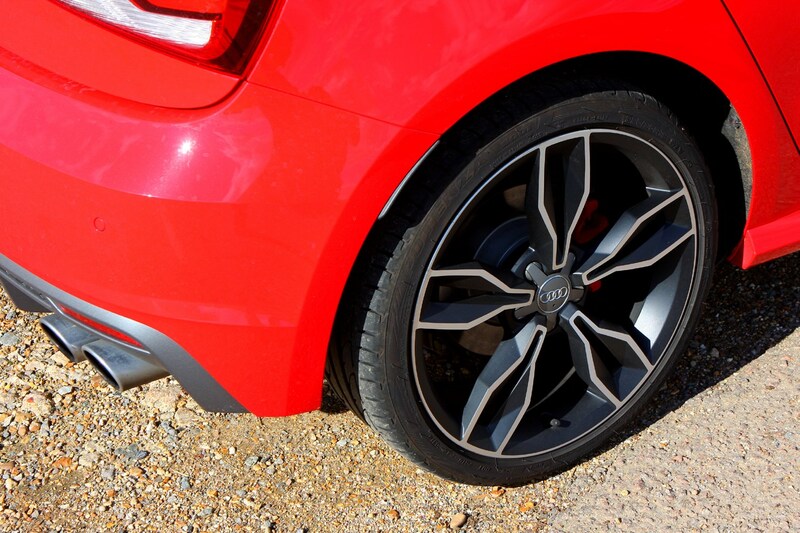 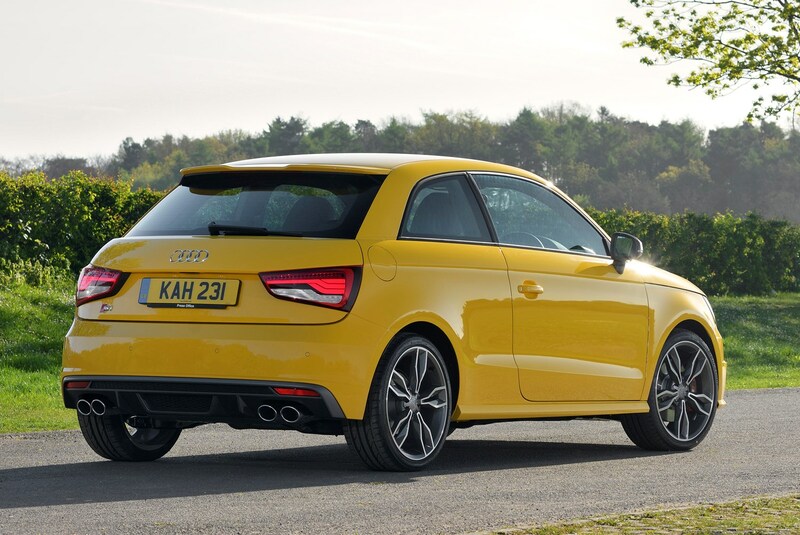 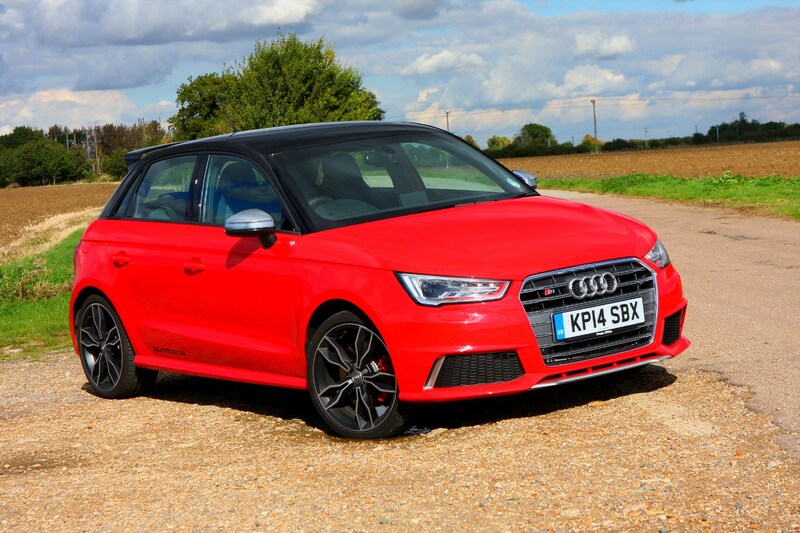 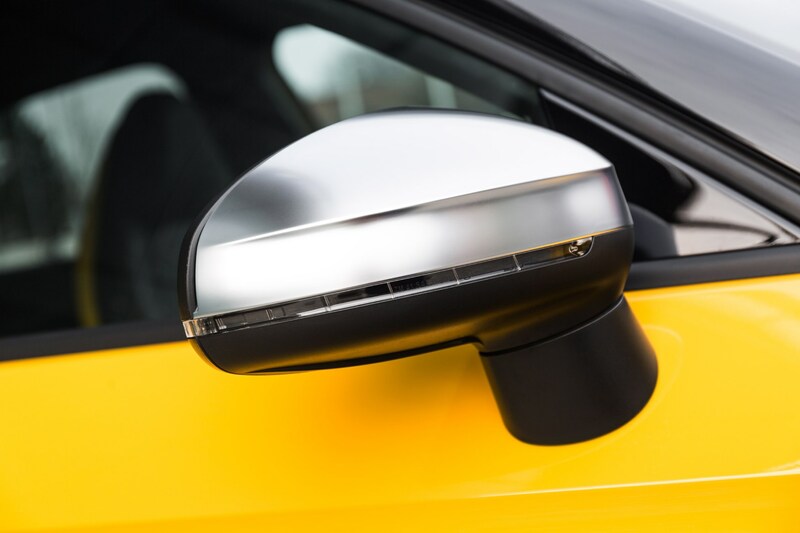 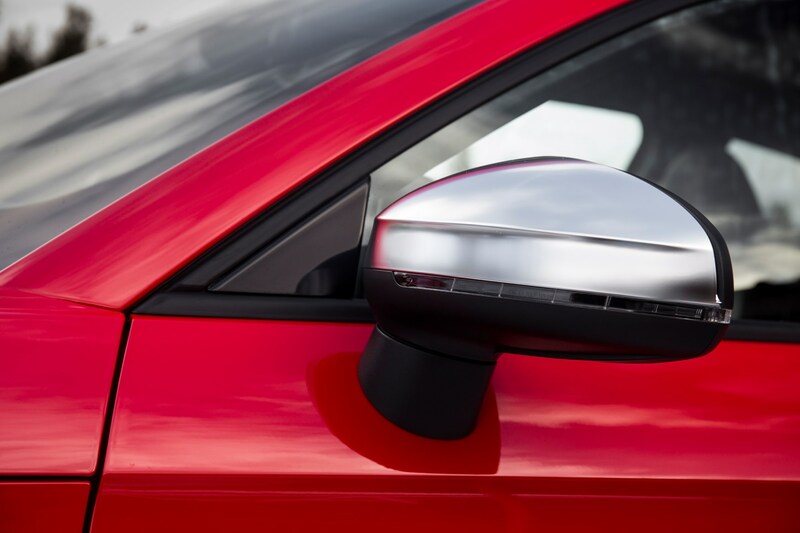 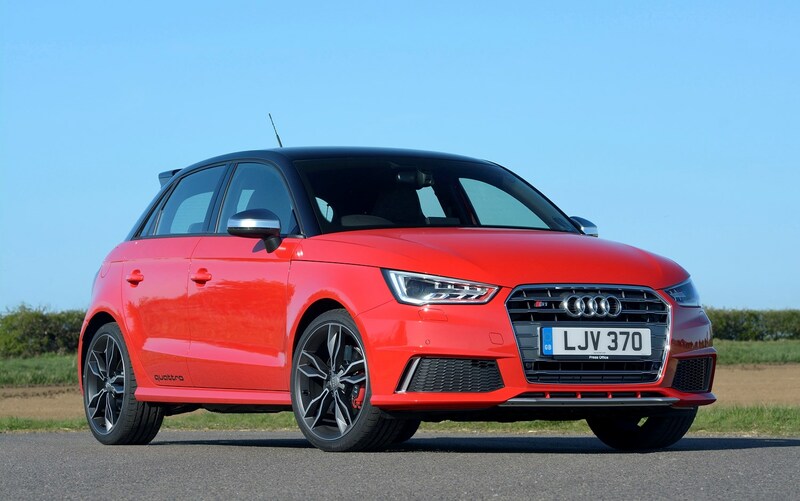 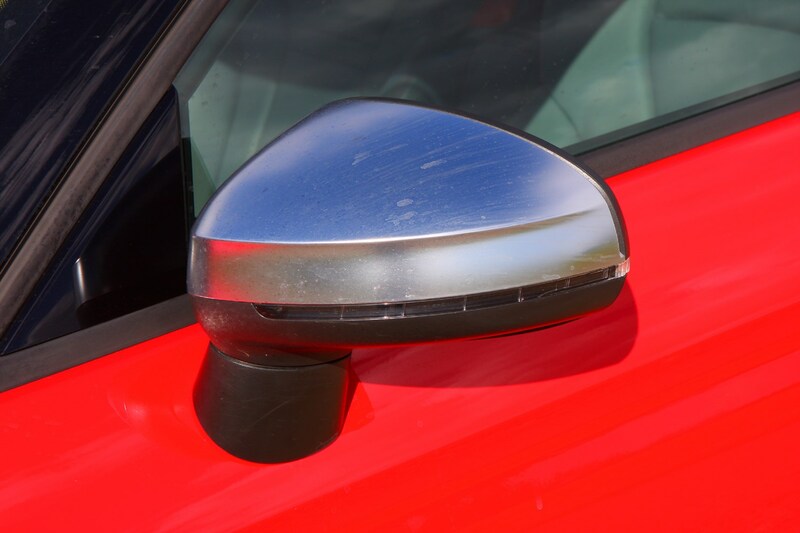 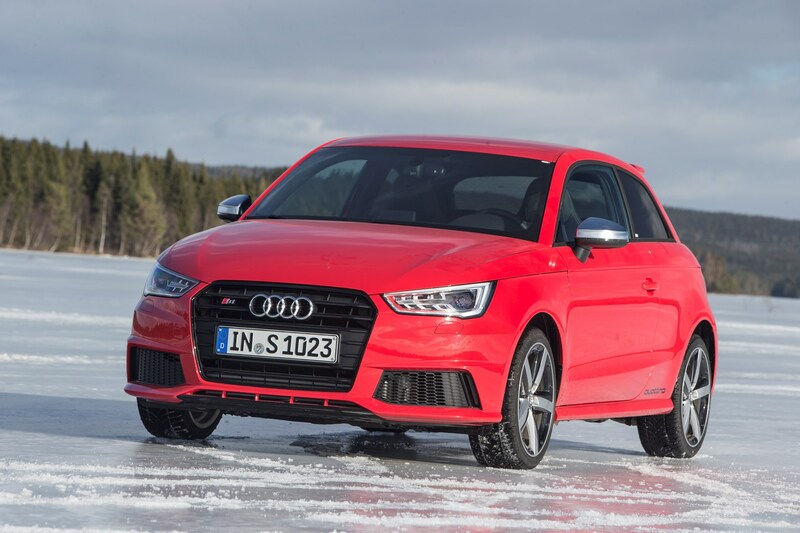 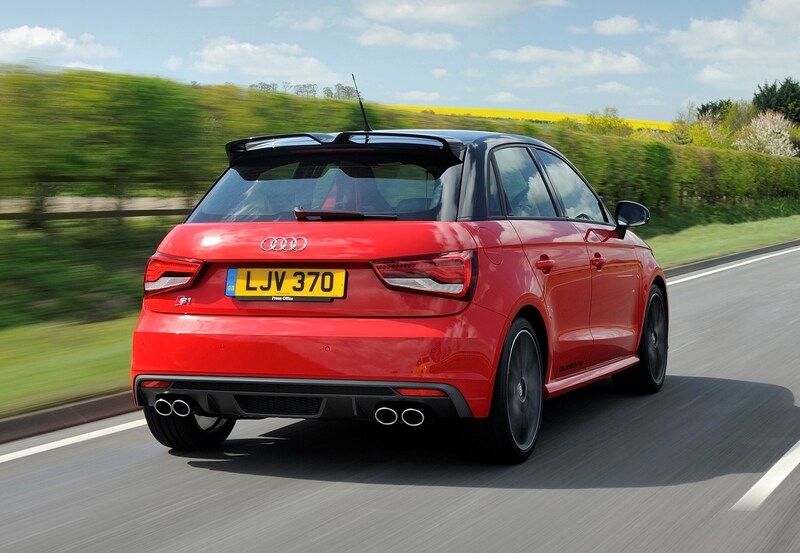 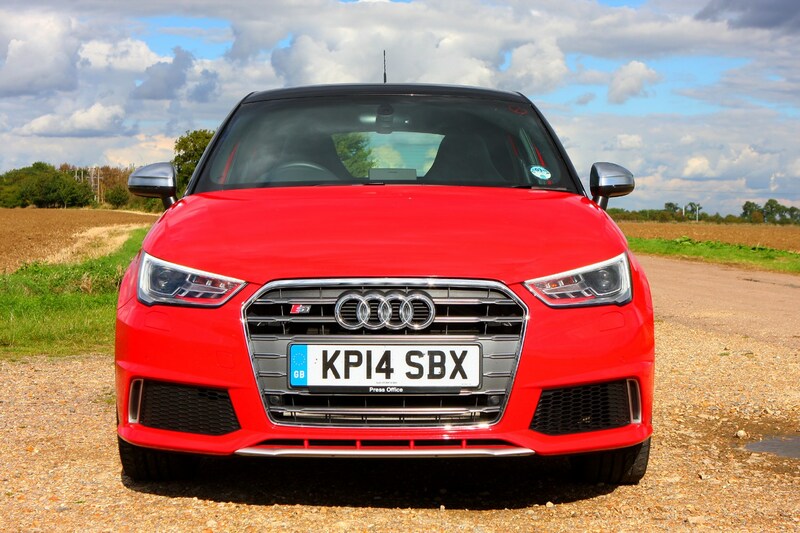 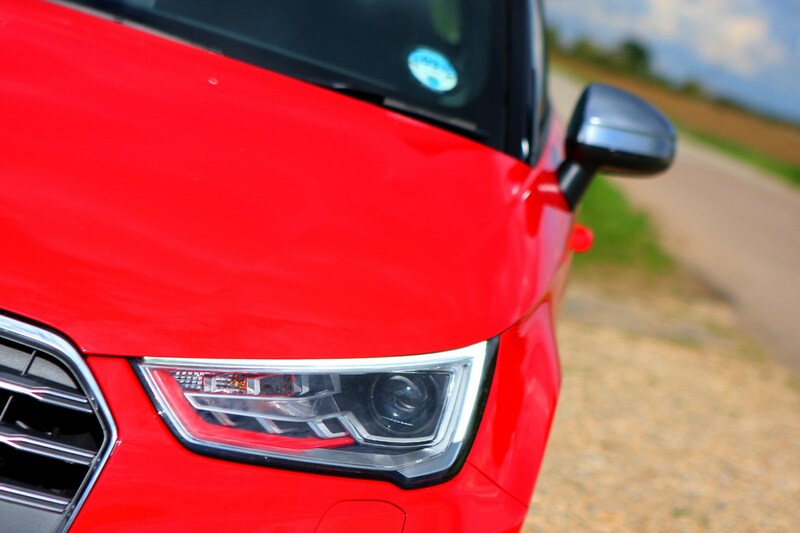 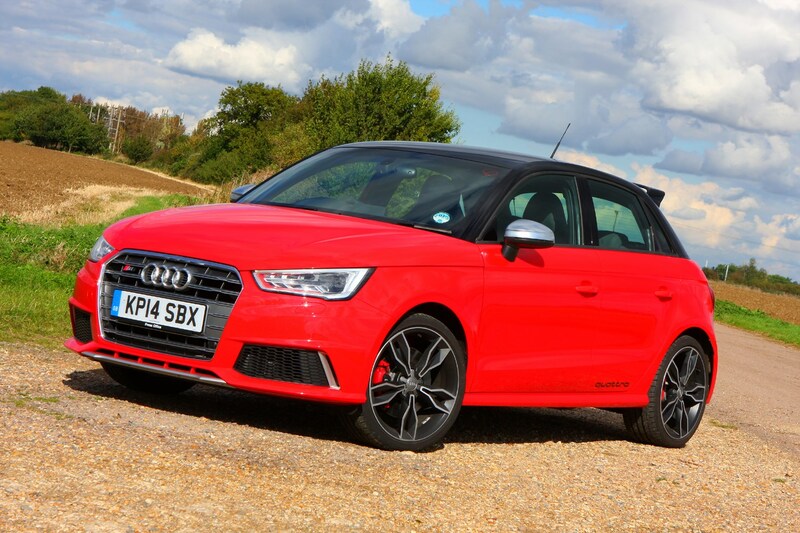 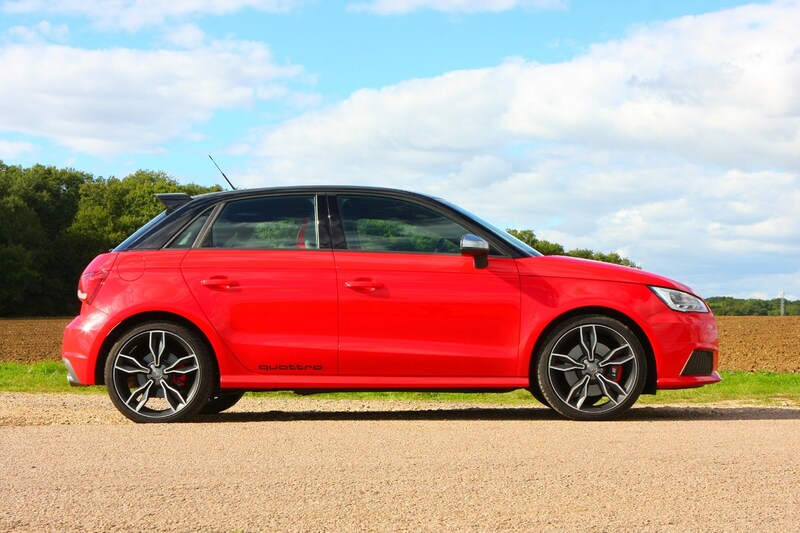 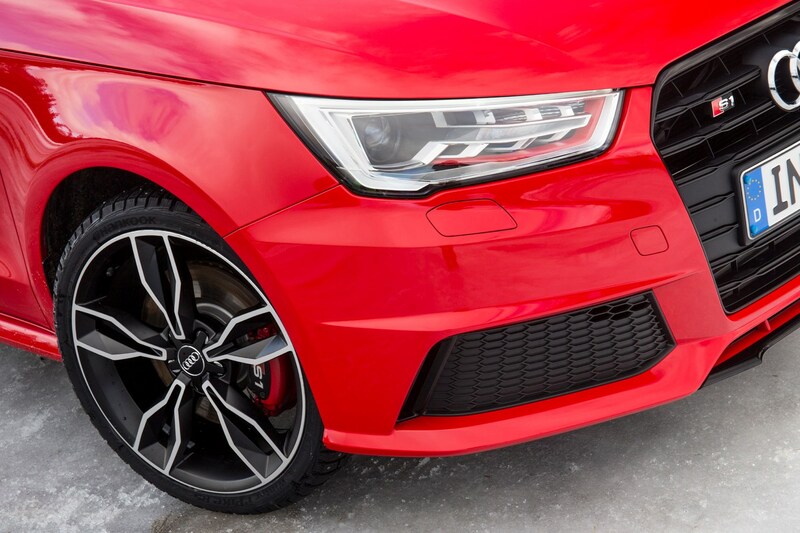 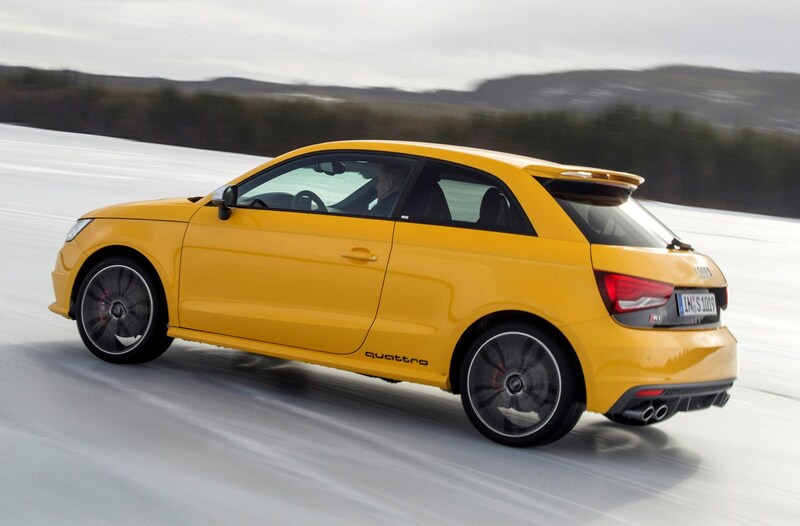 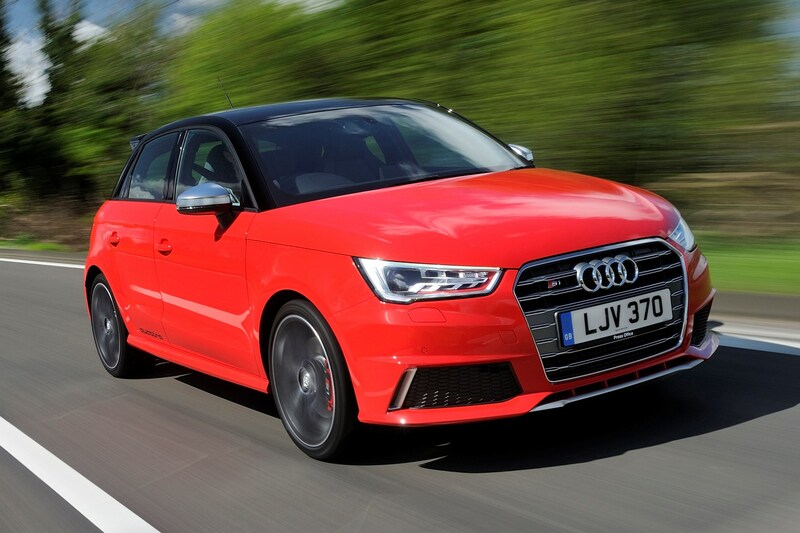 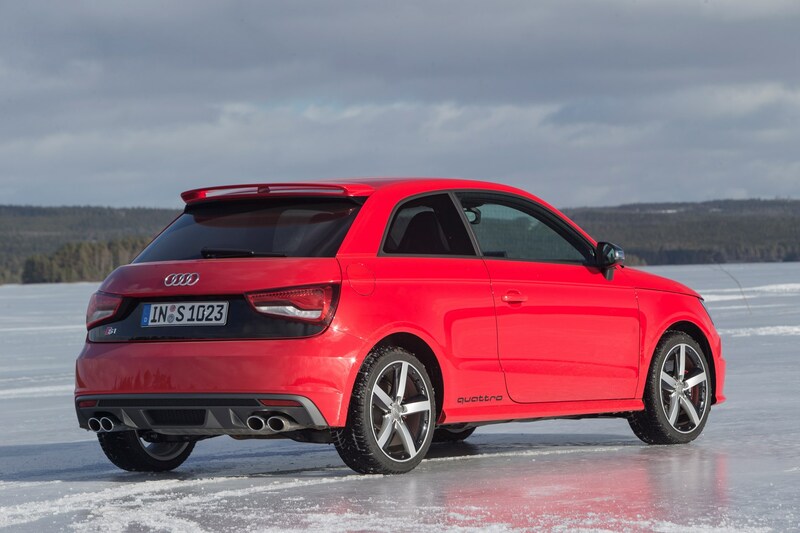 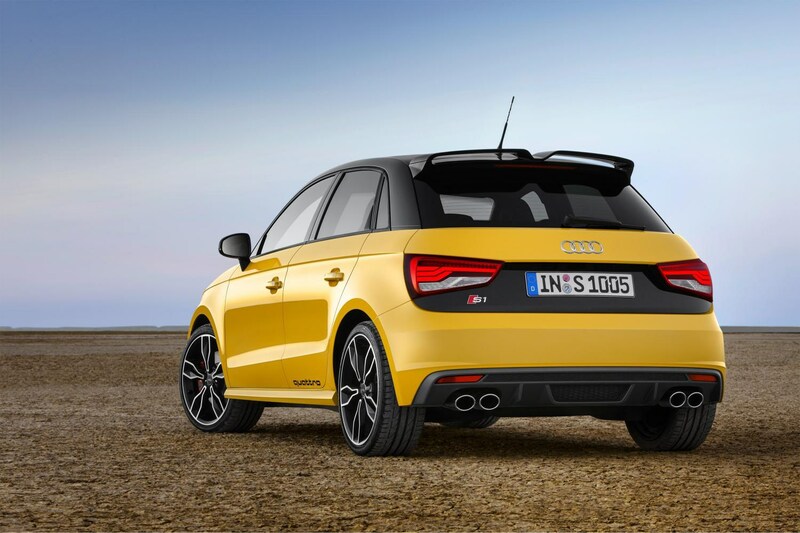 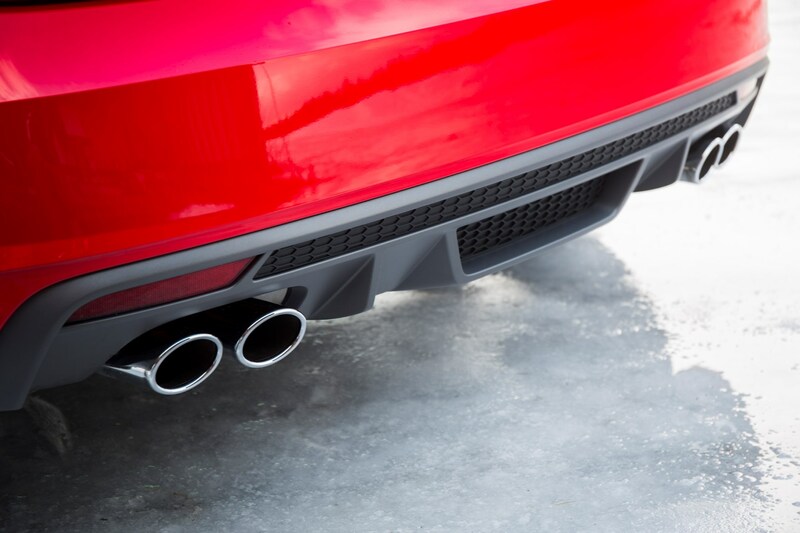 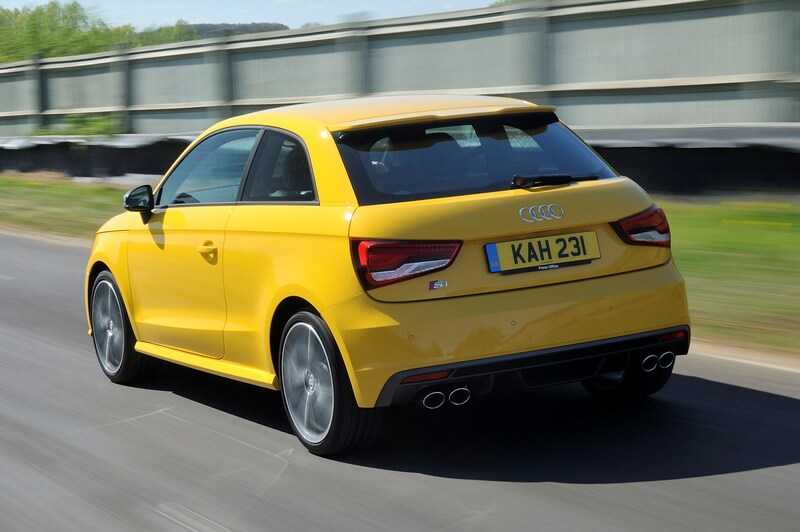 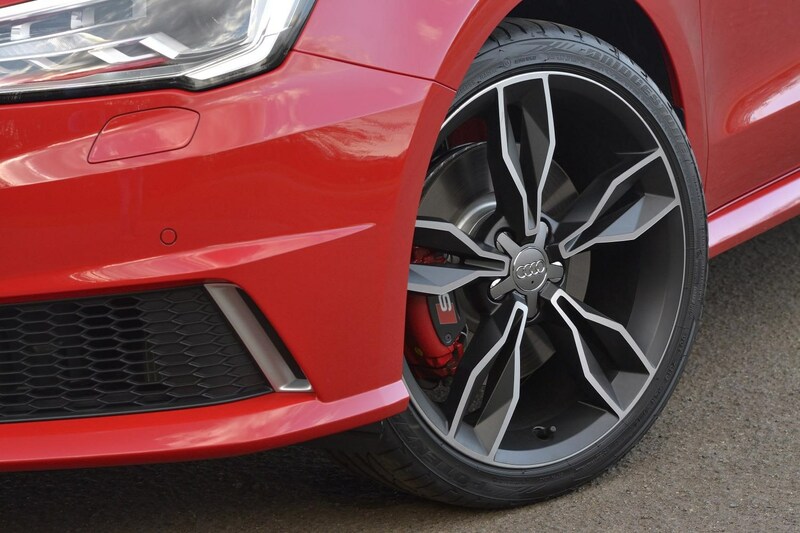 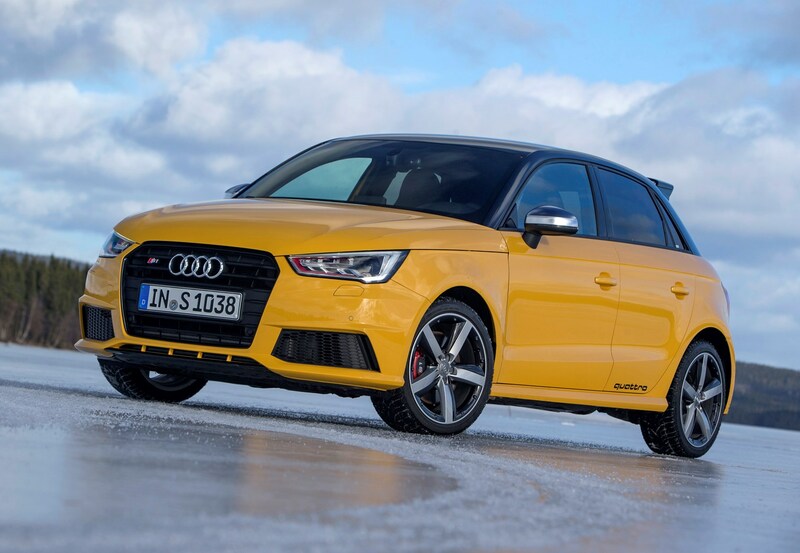 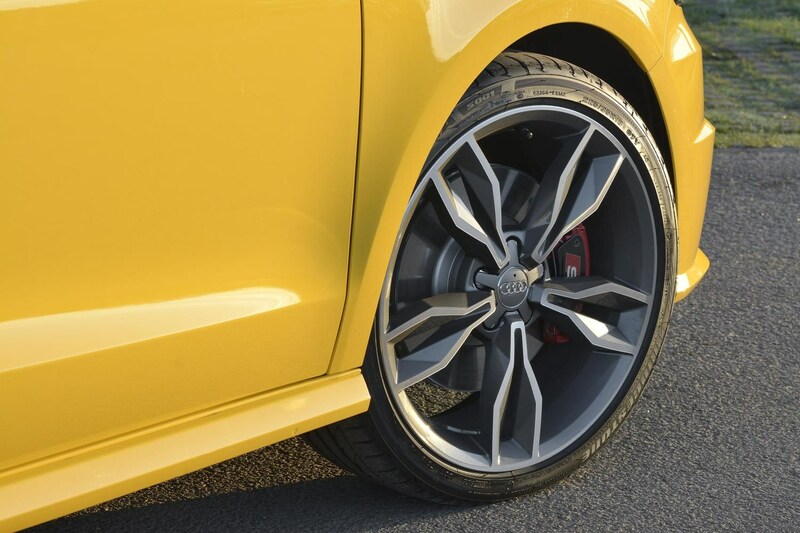 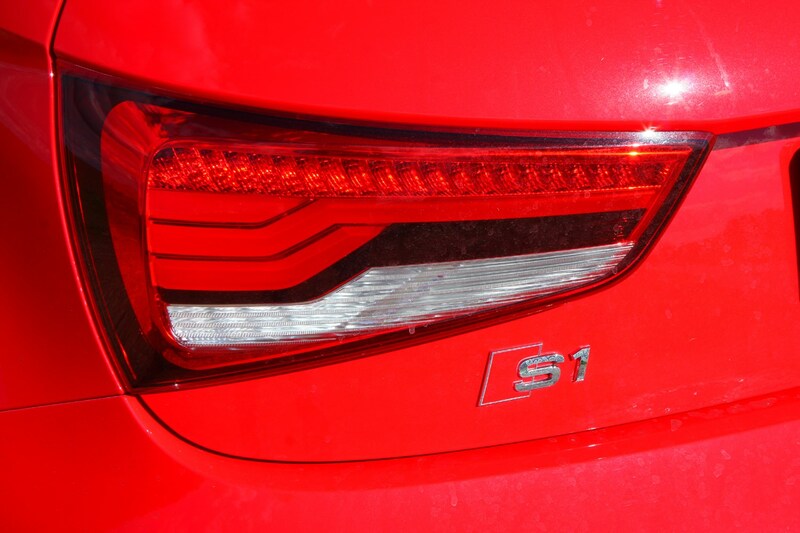 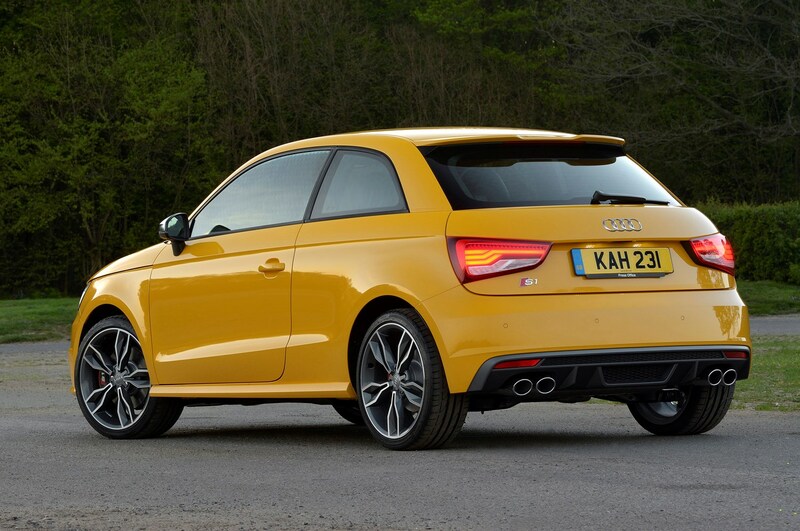 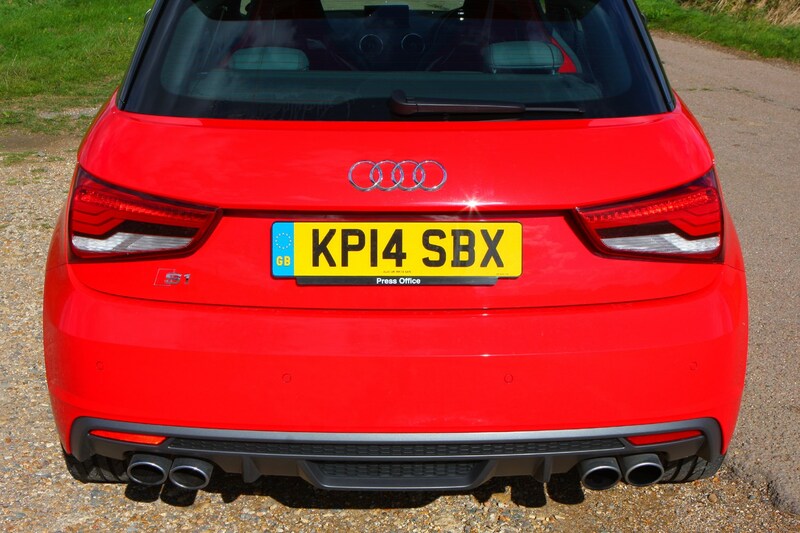 The fact that the Audi S1 is four-wheel drive is something of a unique selling point – it’s really the only performance hatchback of this size to send its power to all four wheels. 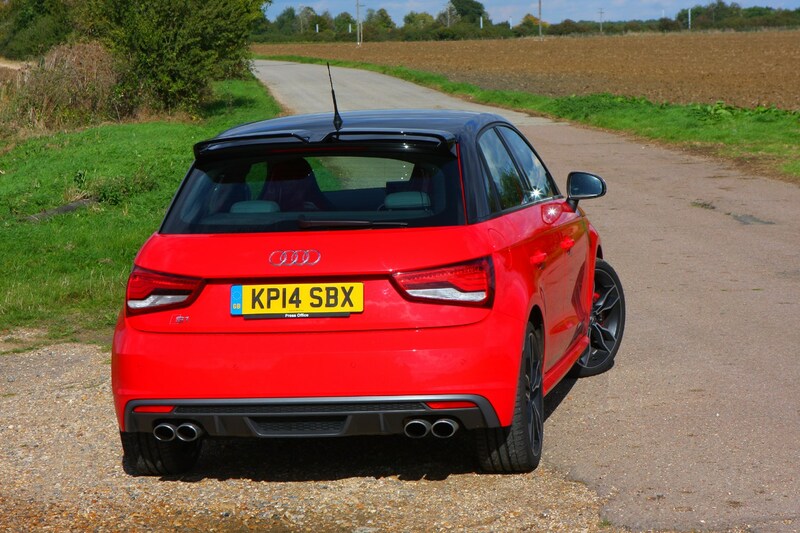 Question is, do you really need four-wheel drive on a car of this size on UK roads? 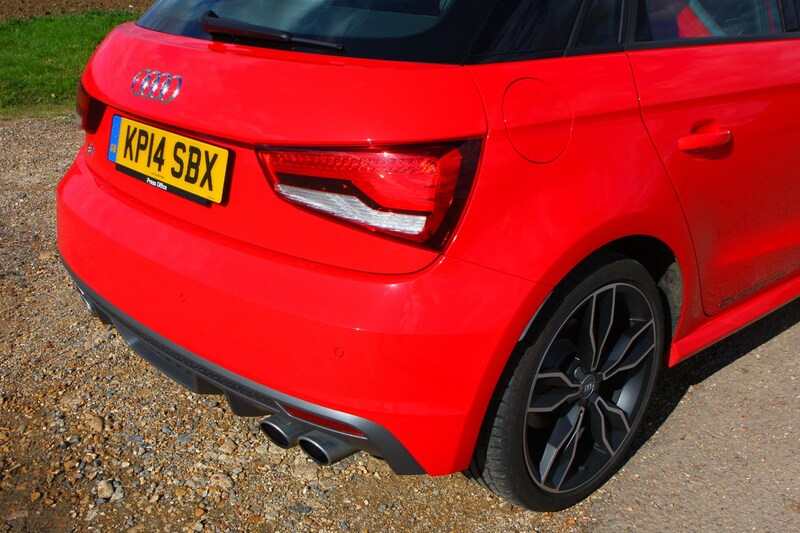 The S1 is arguably an example of the law of diminishing returns – it has more power than it really needs, the drivetrain is complicated and with a kerb weight of more than 1.4 tonnes for the Sportback it’s rather portly, too. 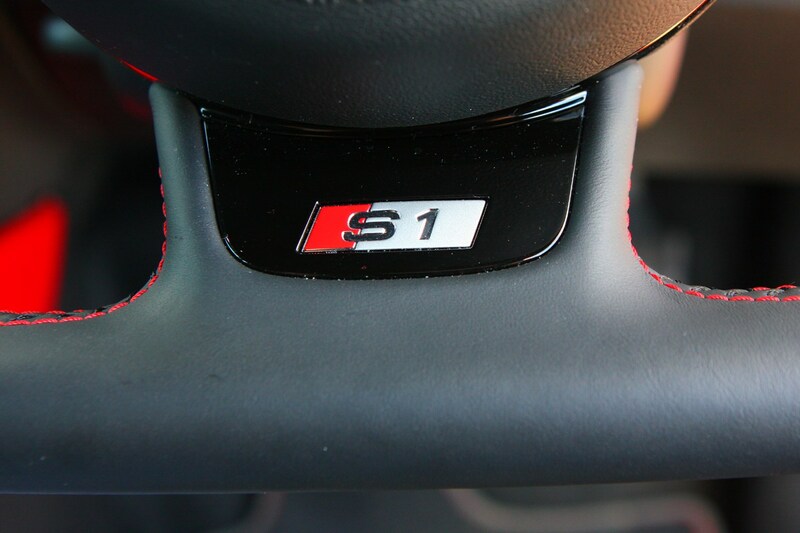 It’s a very likeable car with a fantastic engine, addictive performance and the all-wheel drive system does give it something different to offer over its natural rivals such as the Mini Cooper JCW or the far cheaper (and more fun) but less premium Ford Fiesta ST.
Click on the headings at the top of the page or the ratings below to navigate through the full Audi S1 review.